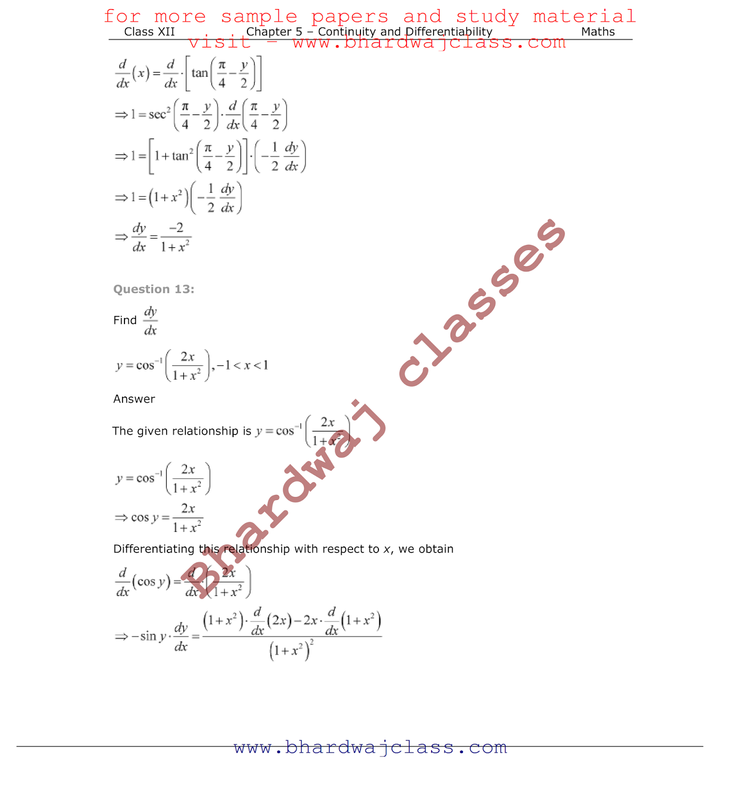 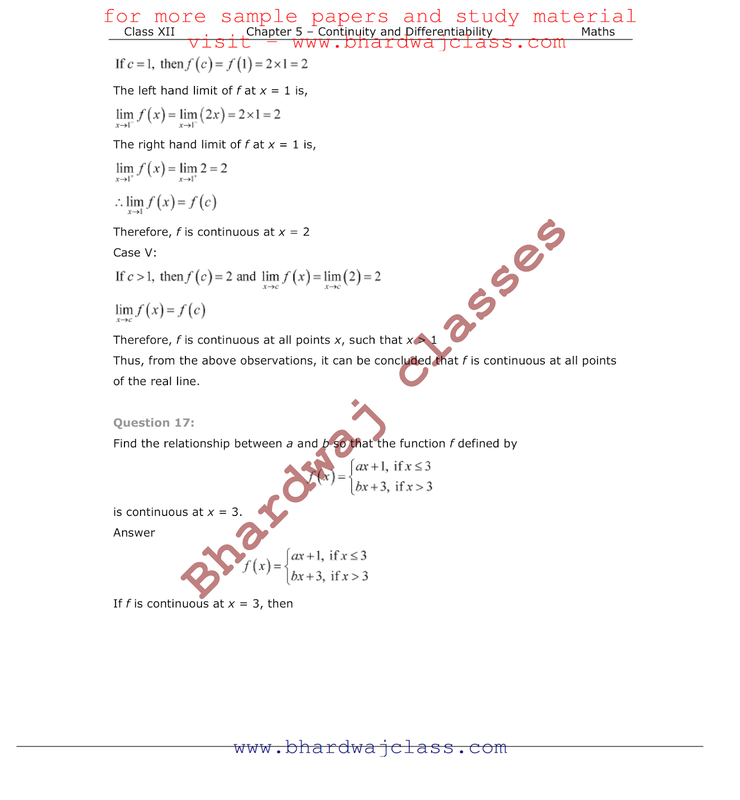 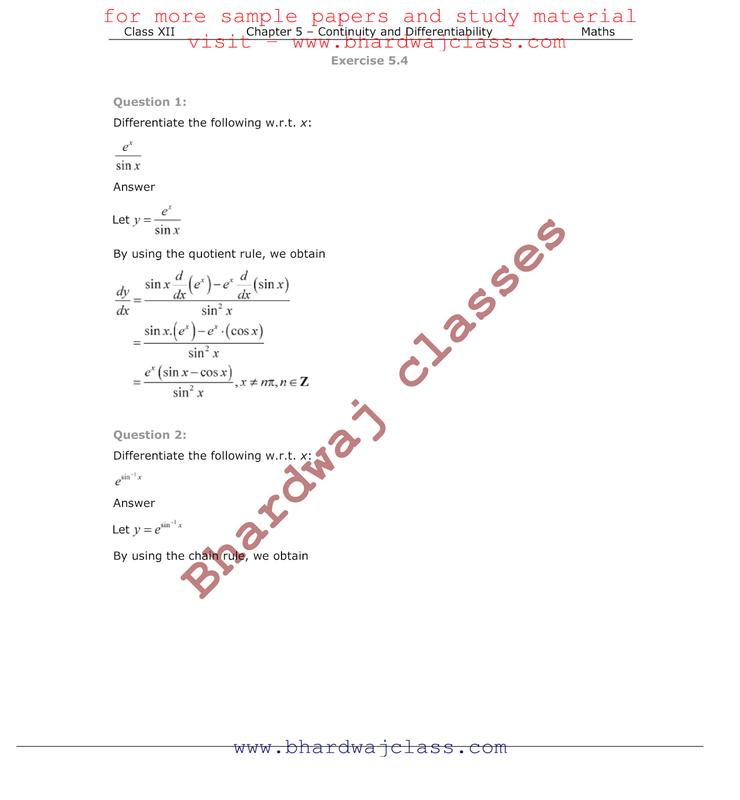 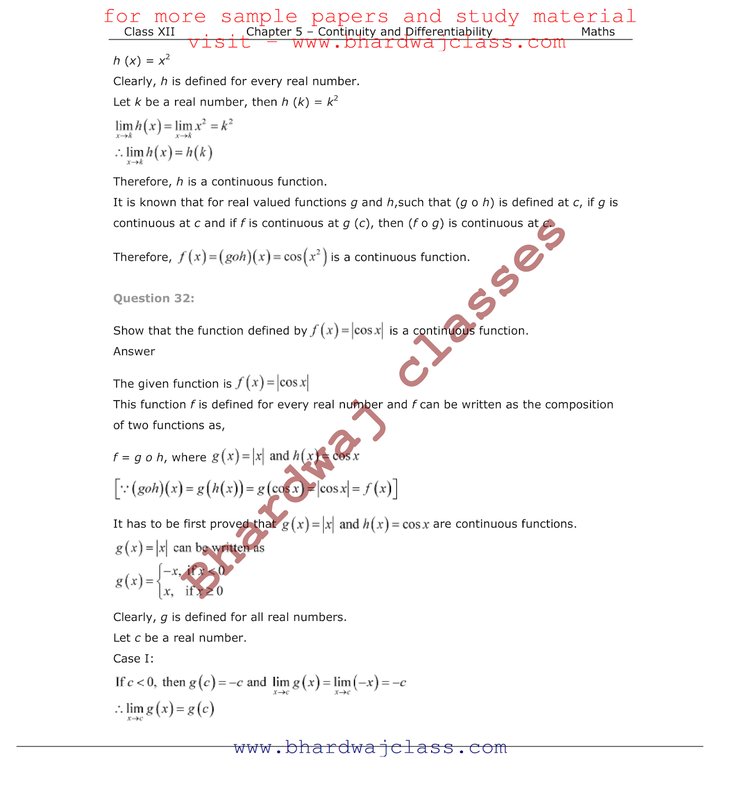 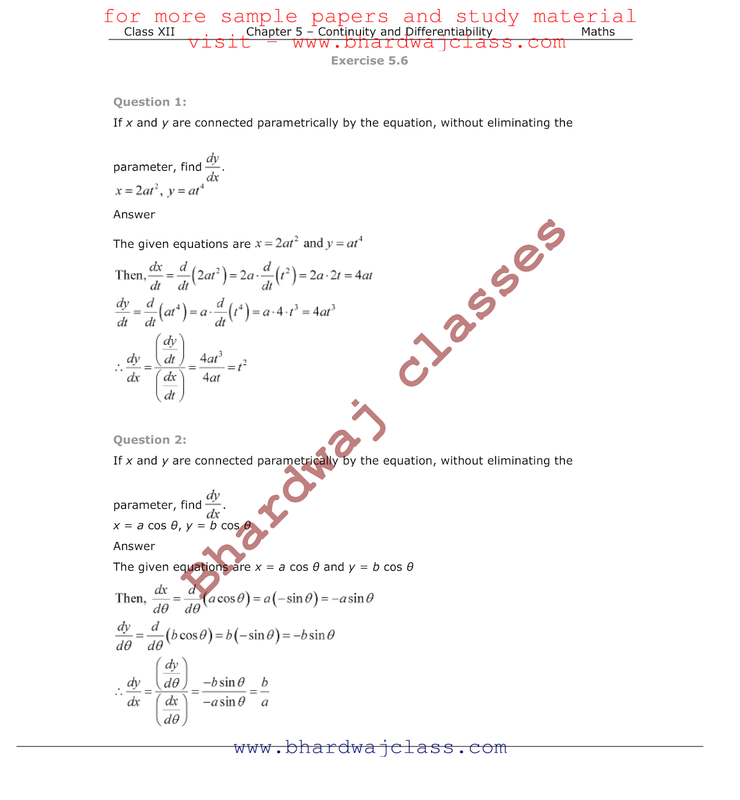 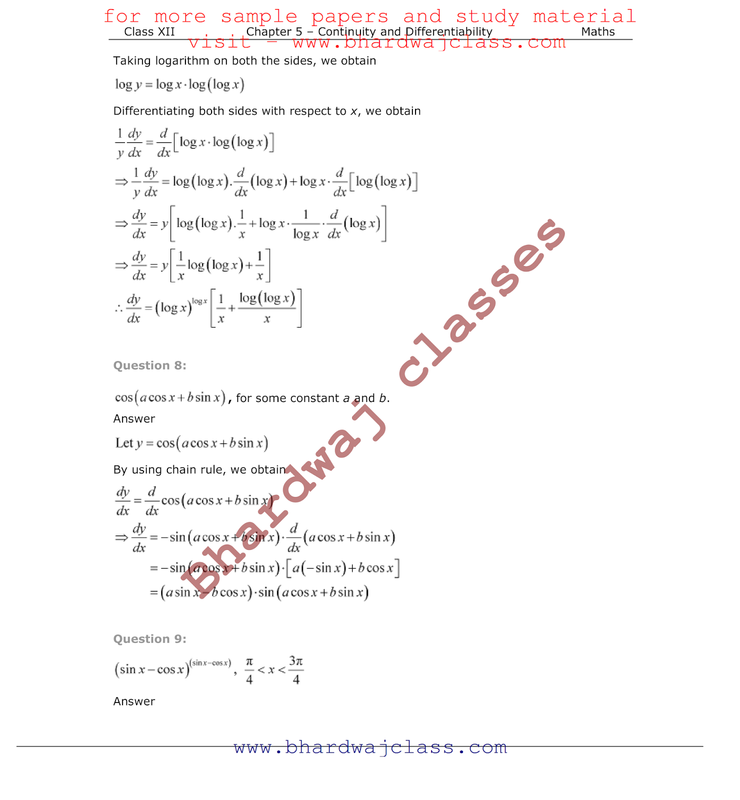 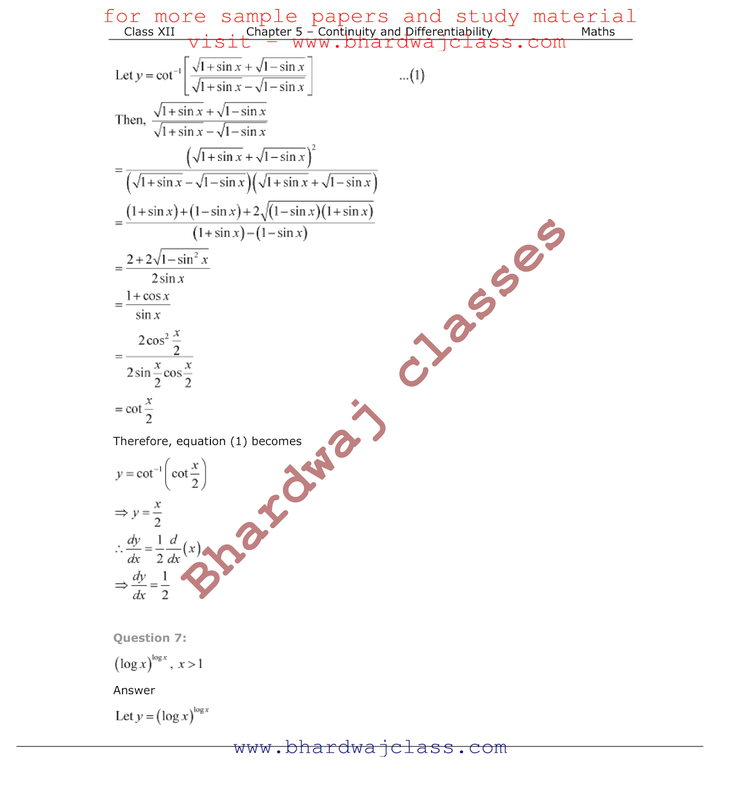 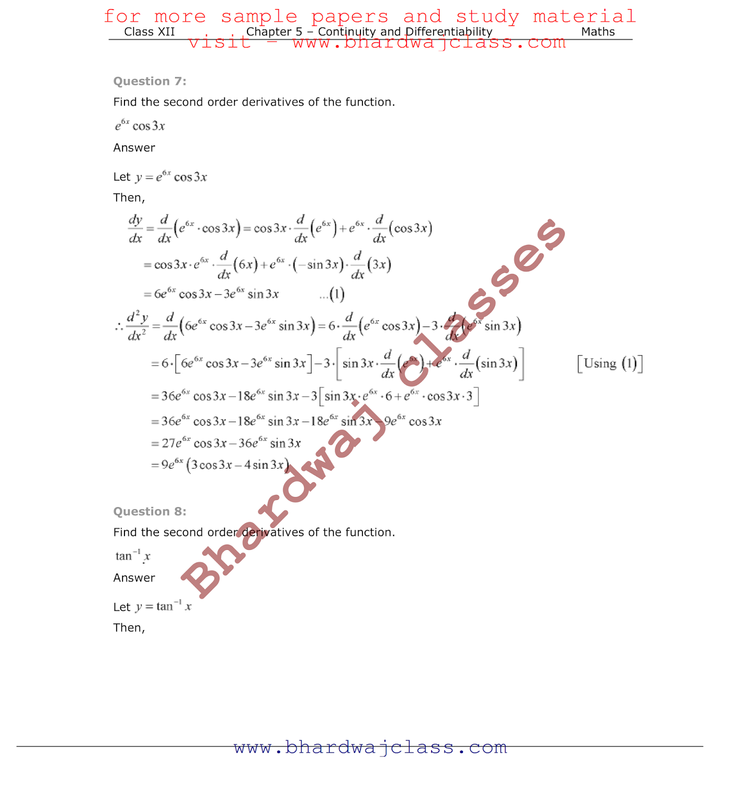 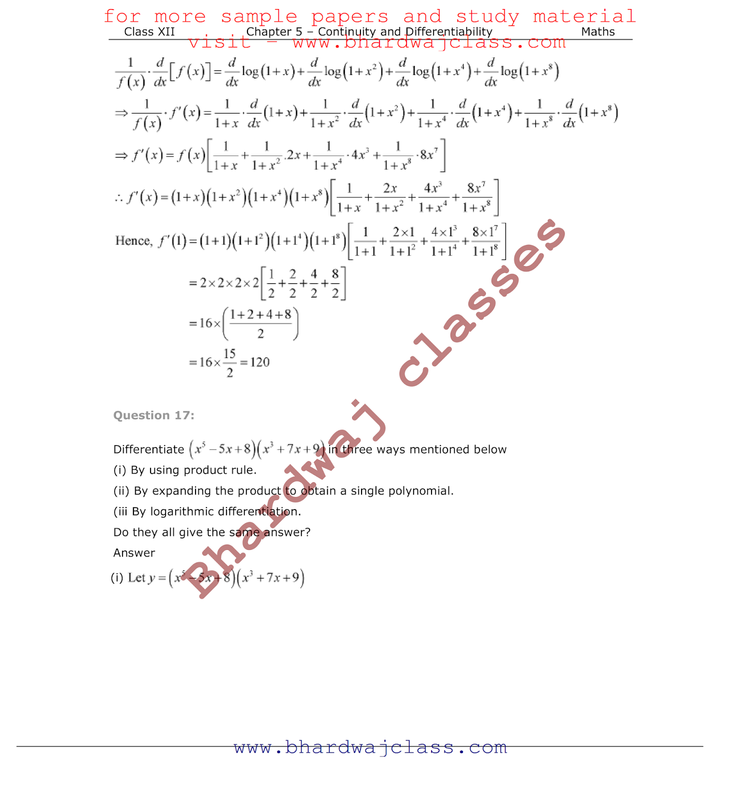 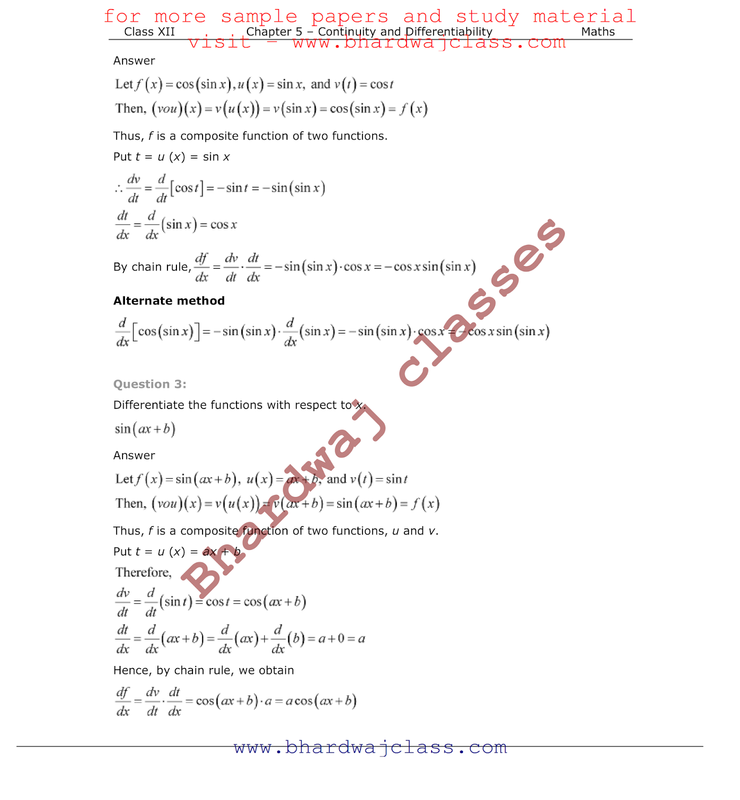 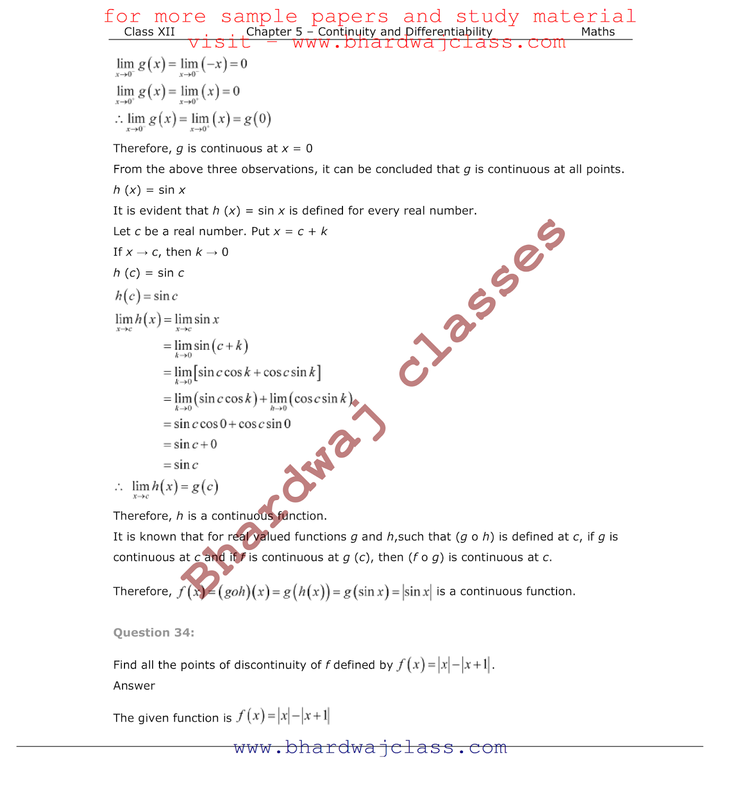 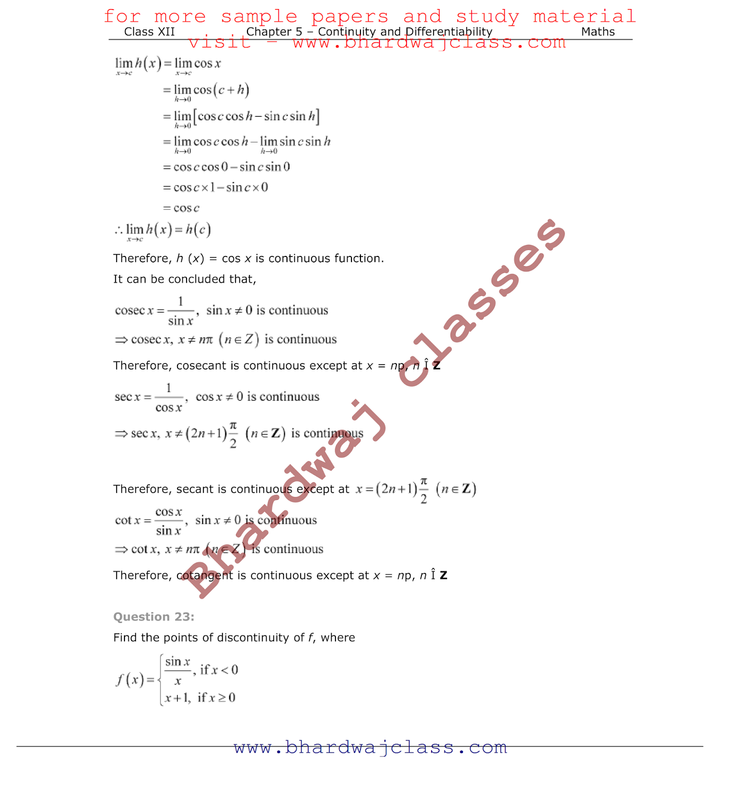 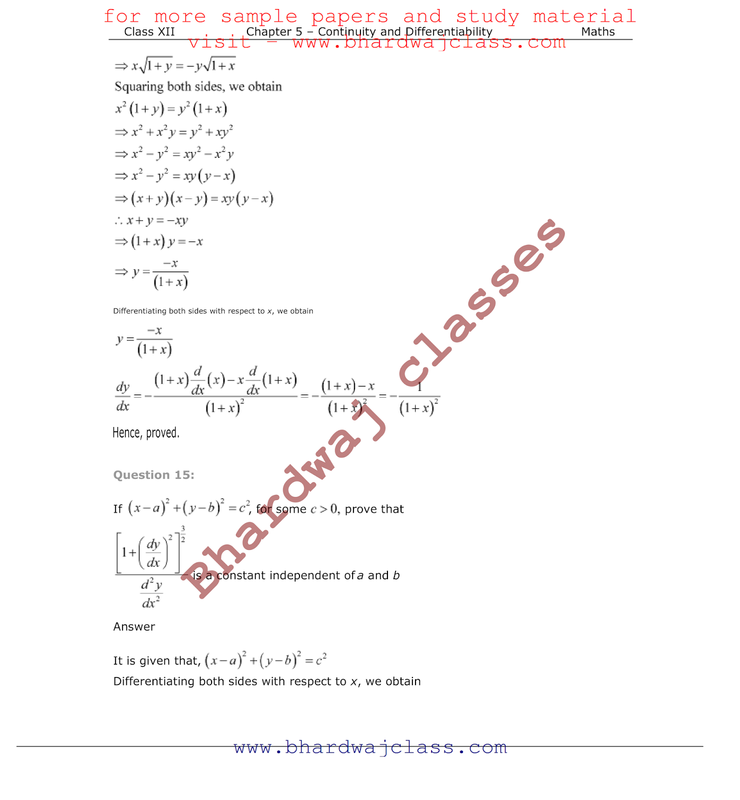 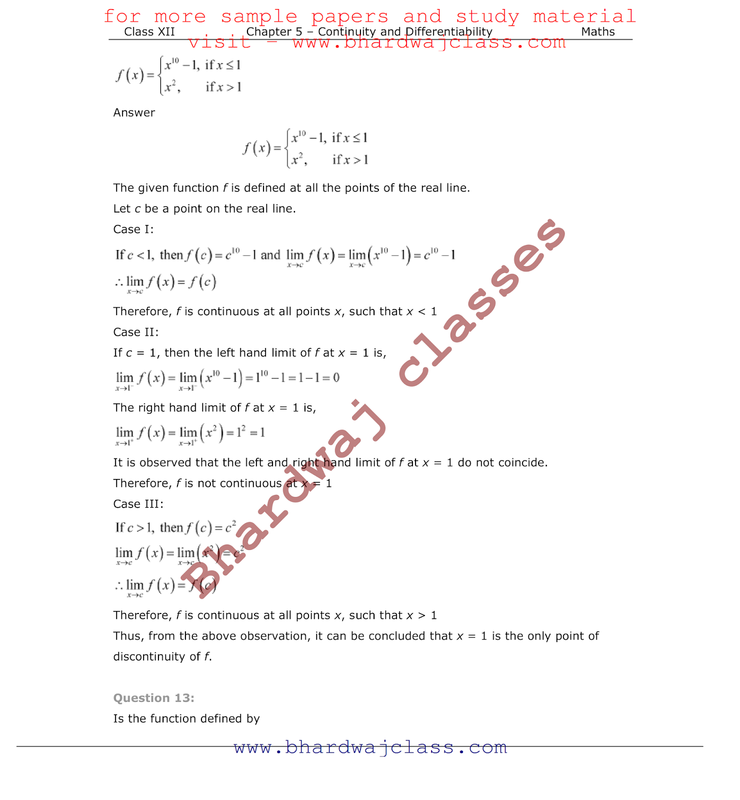 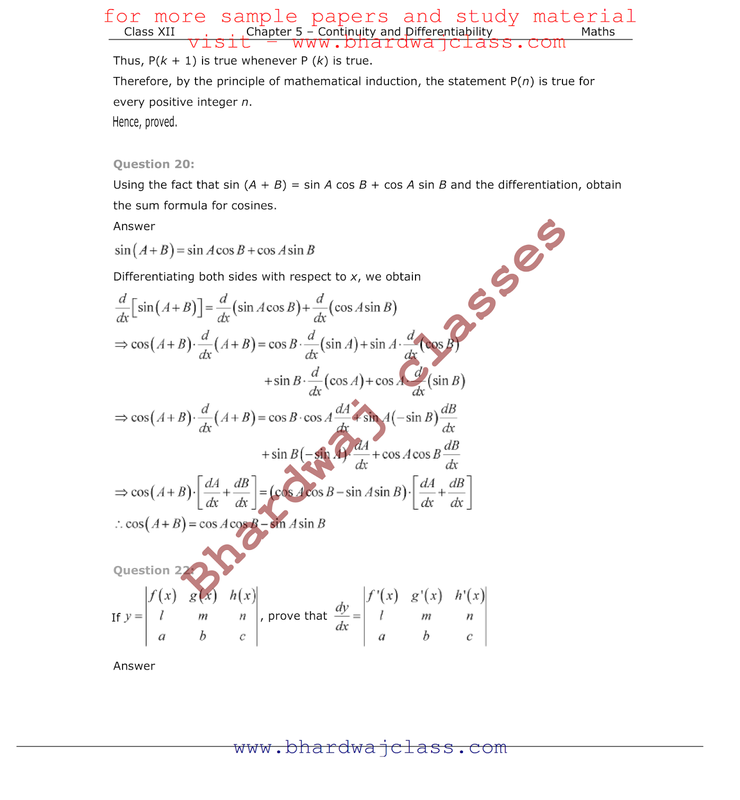 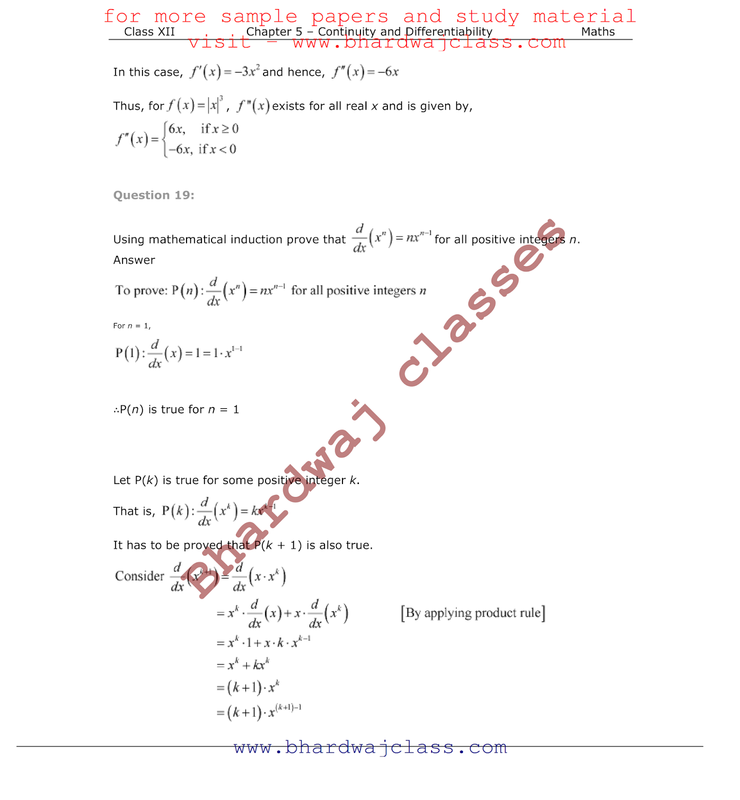 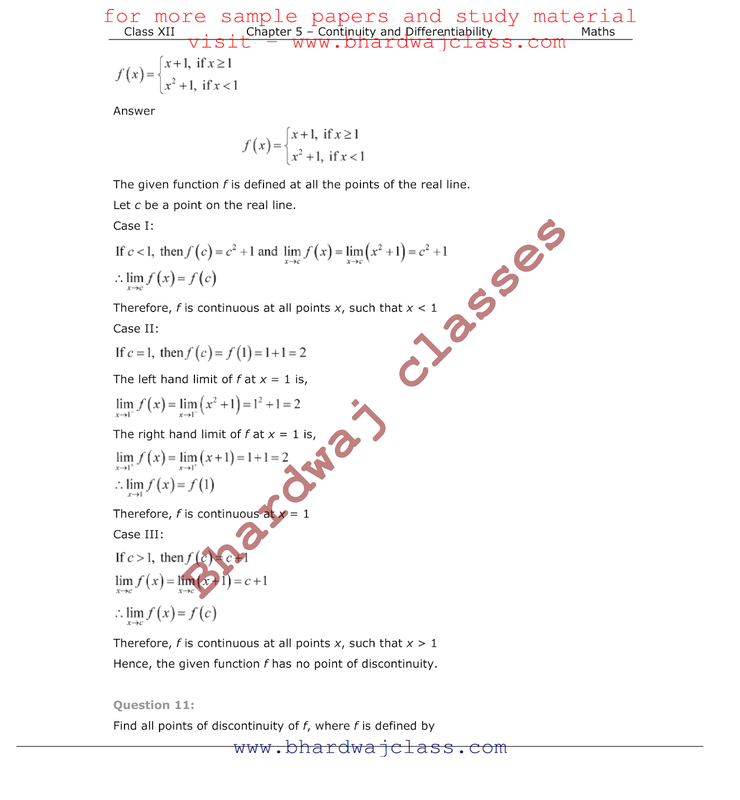 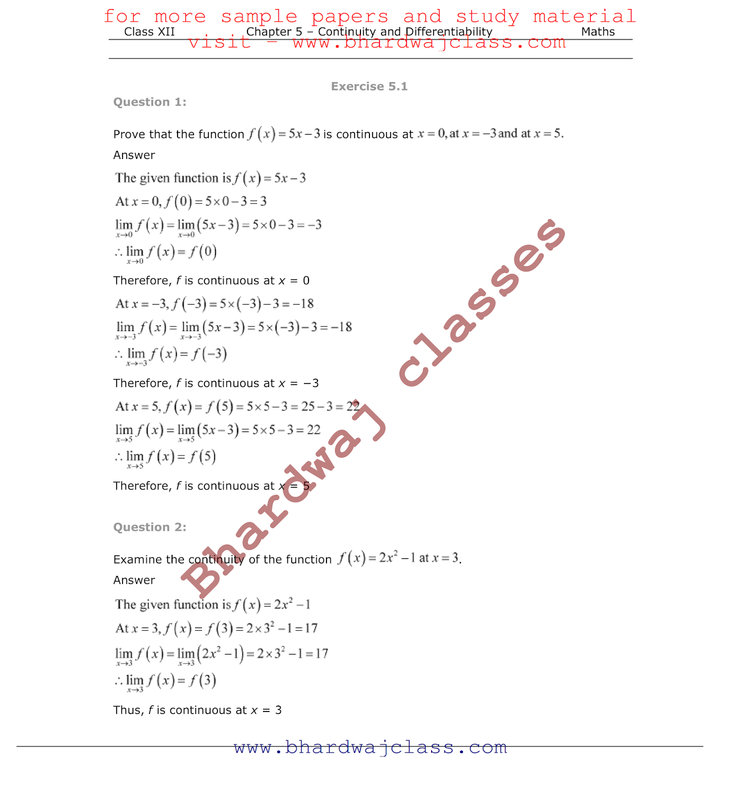 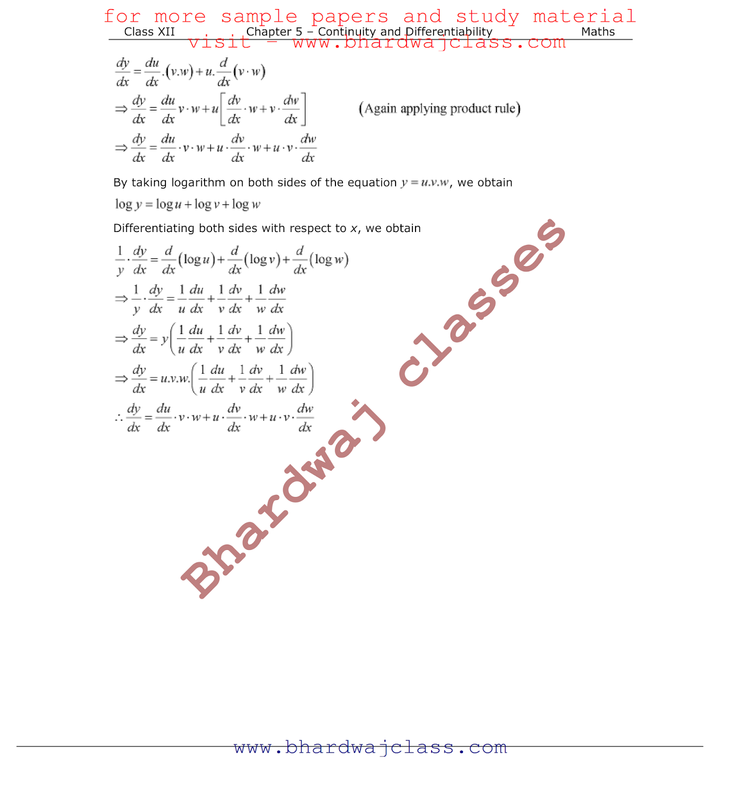 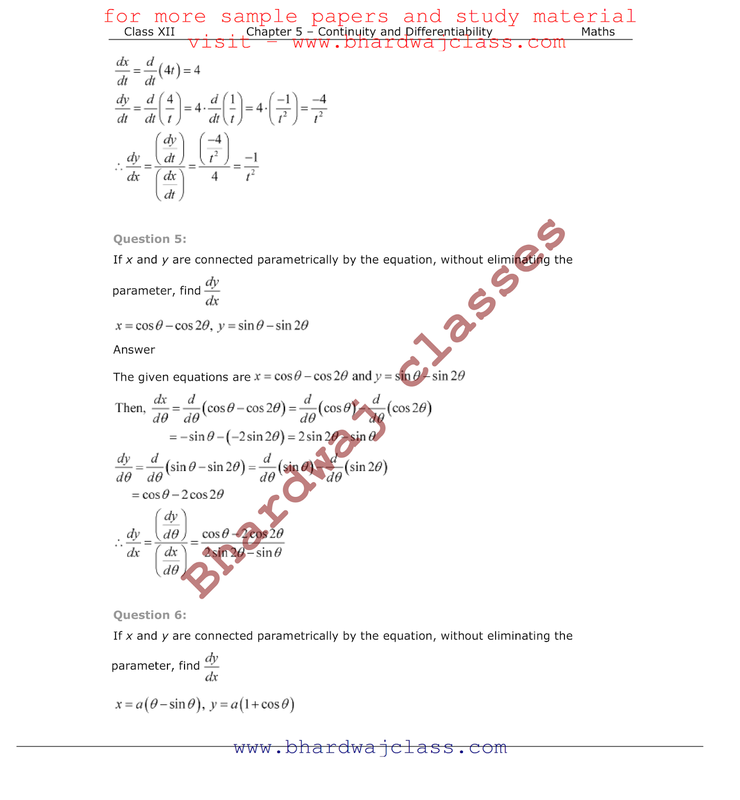 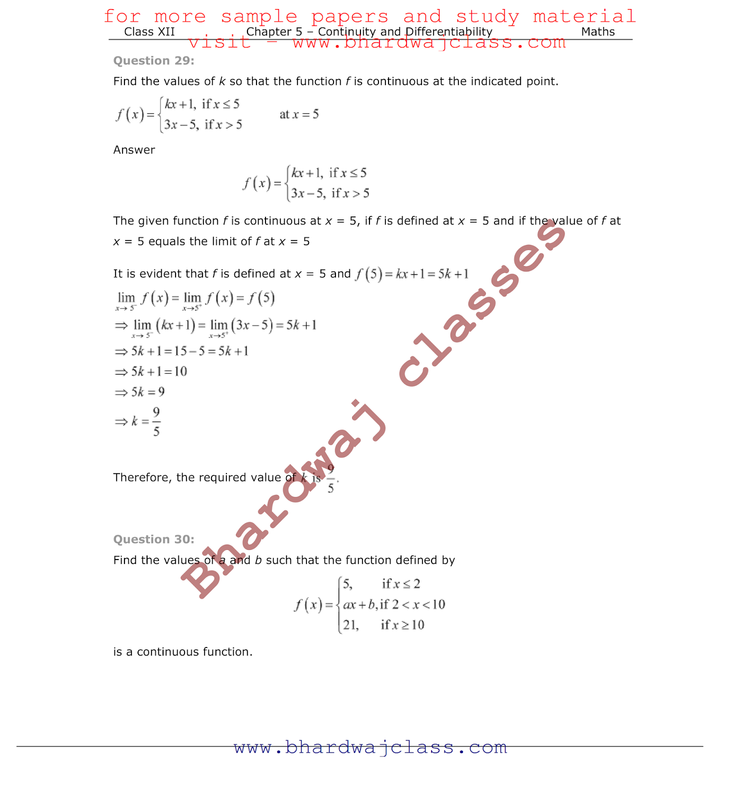 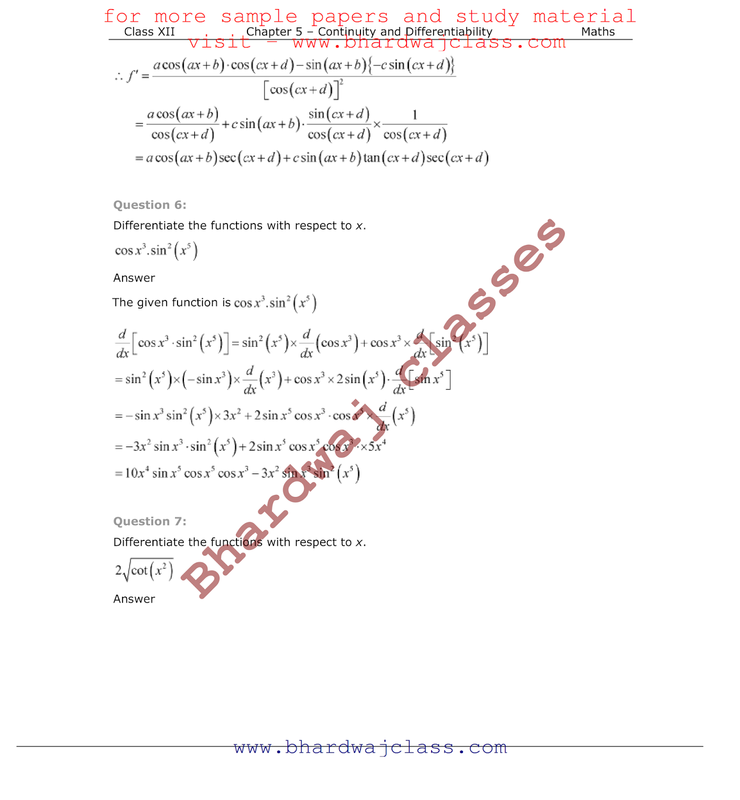 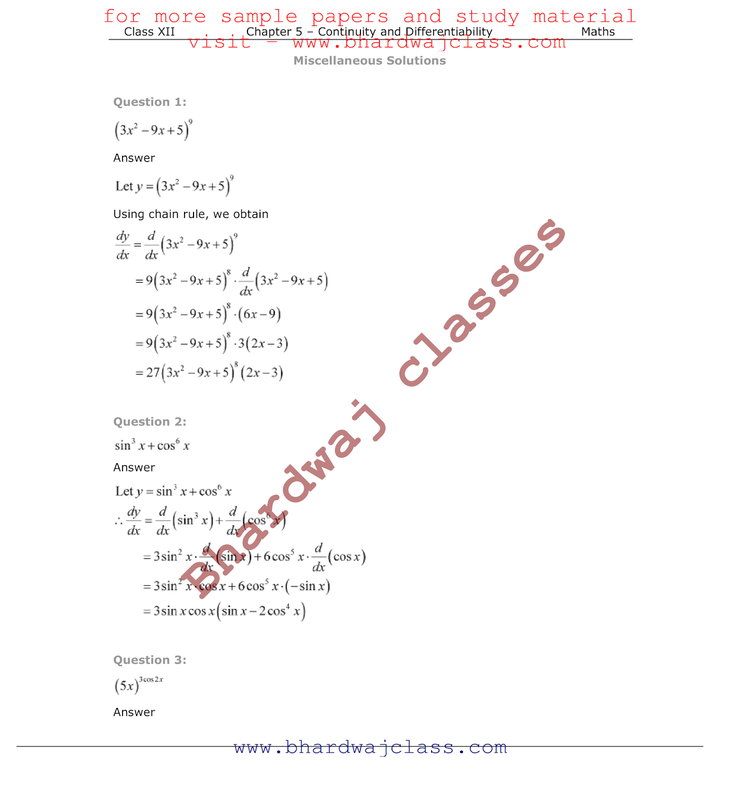 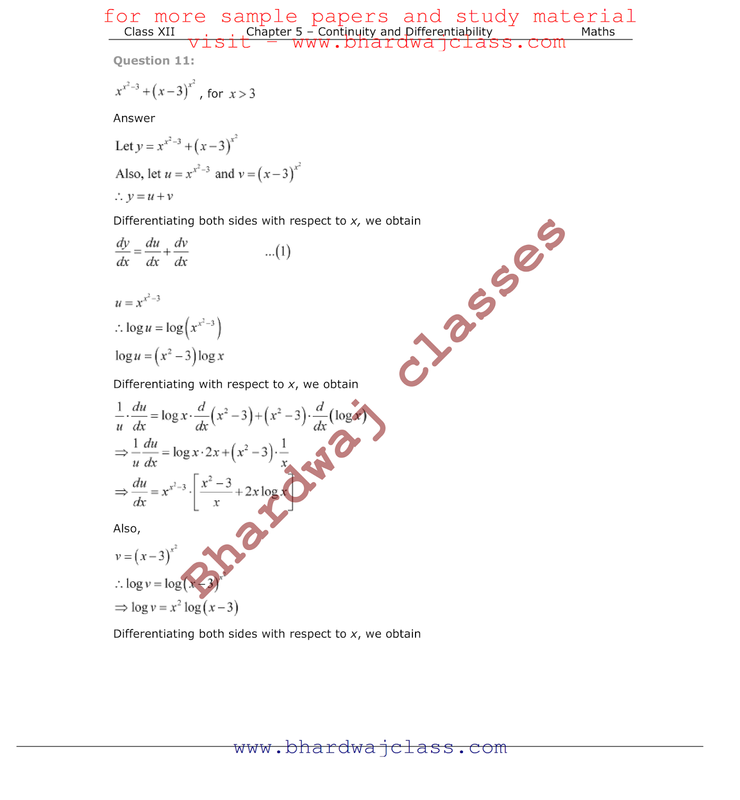 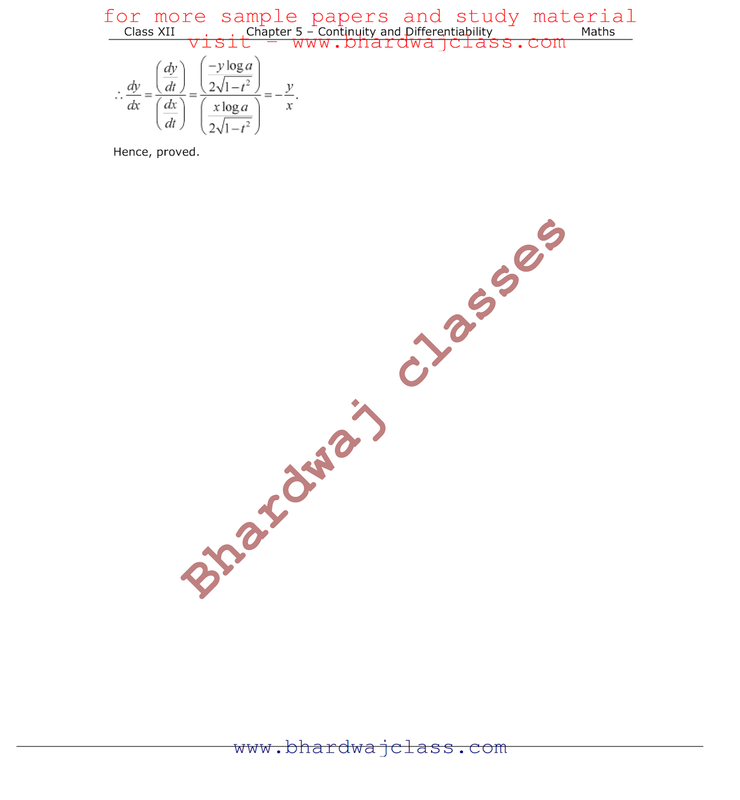 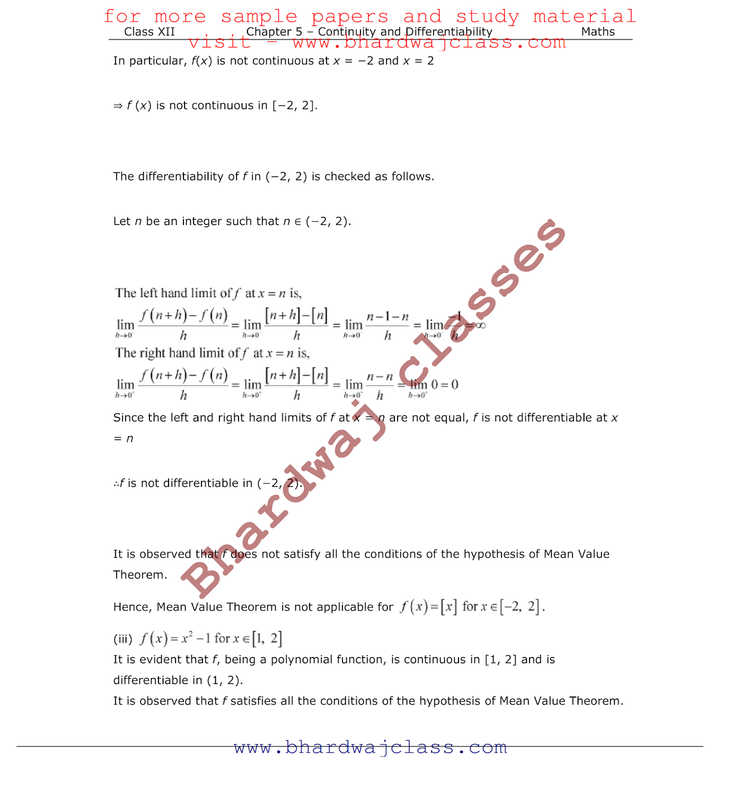 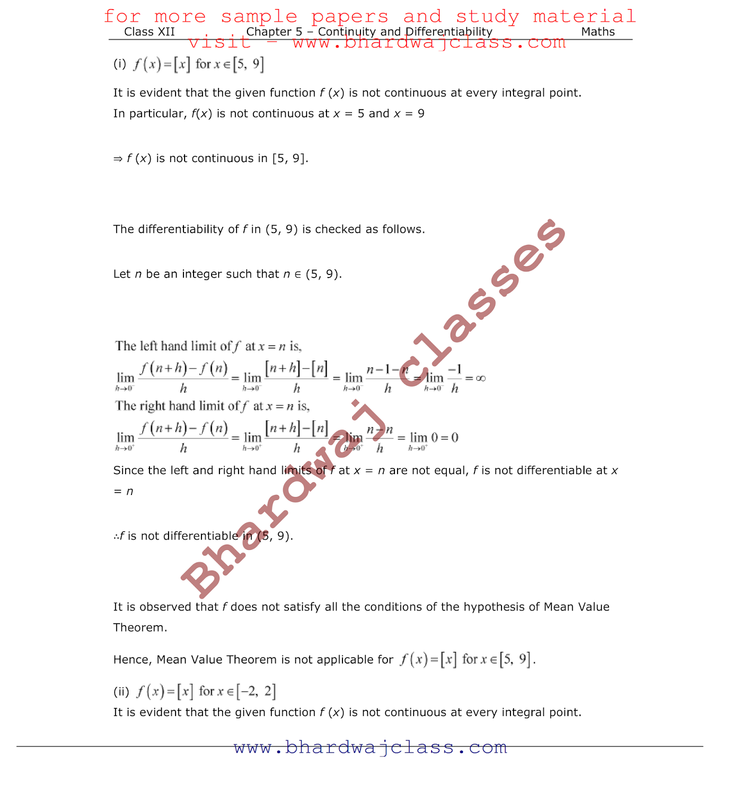 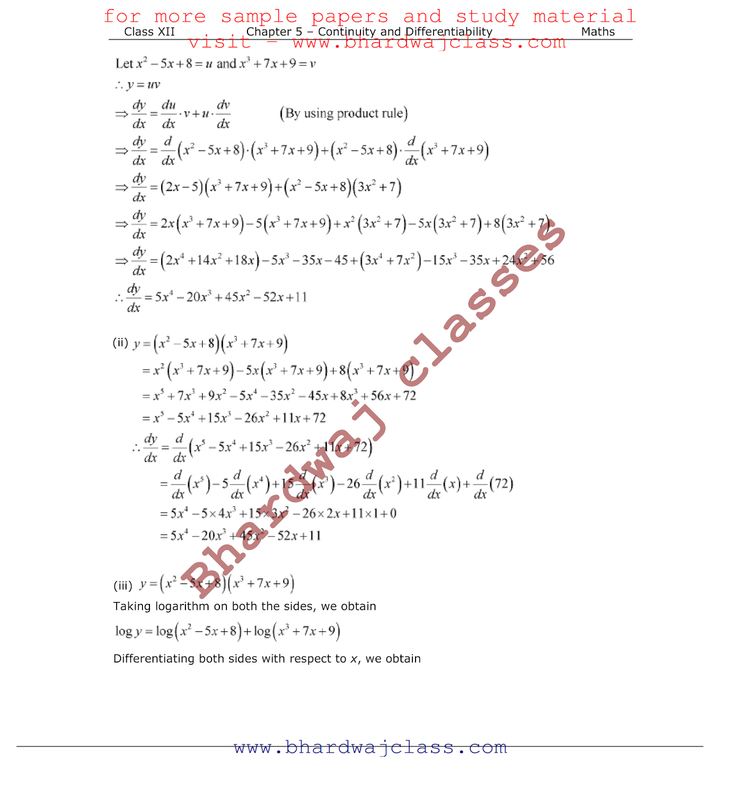 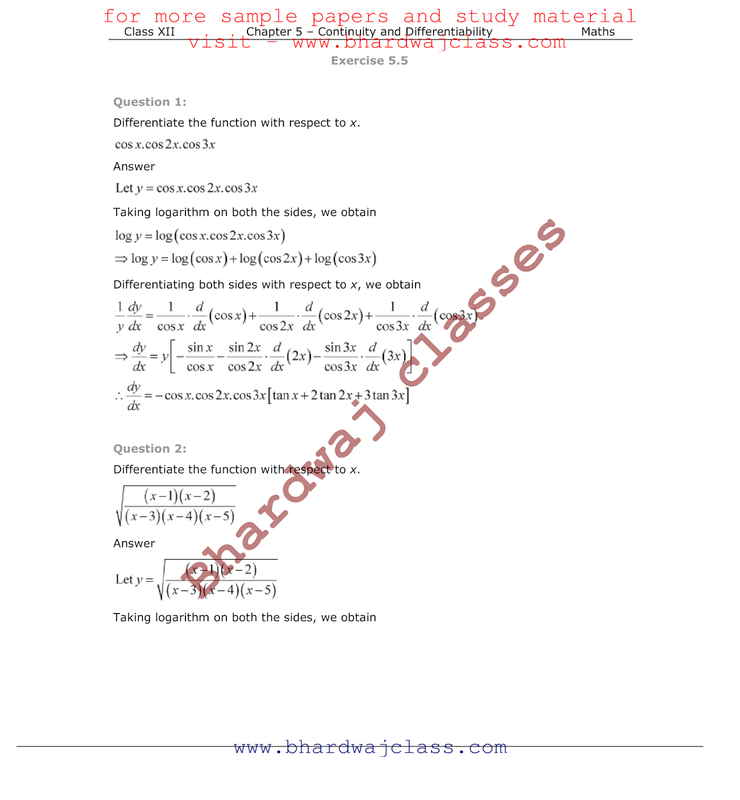 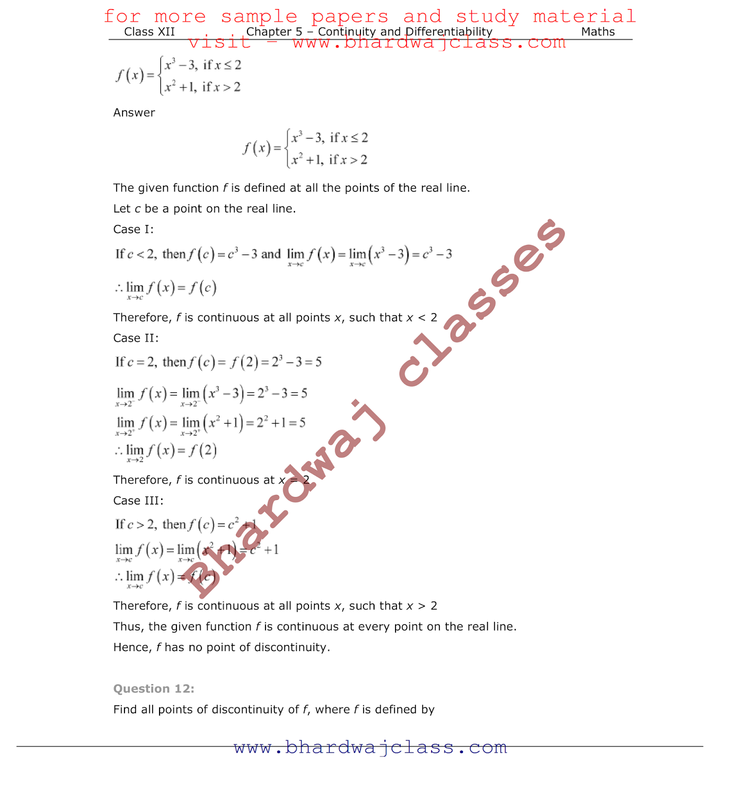 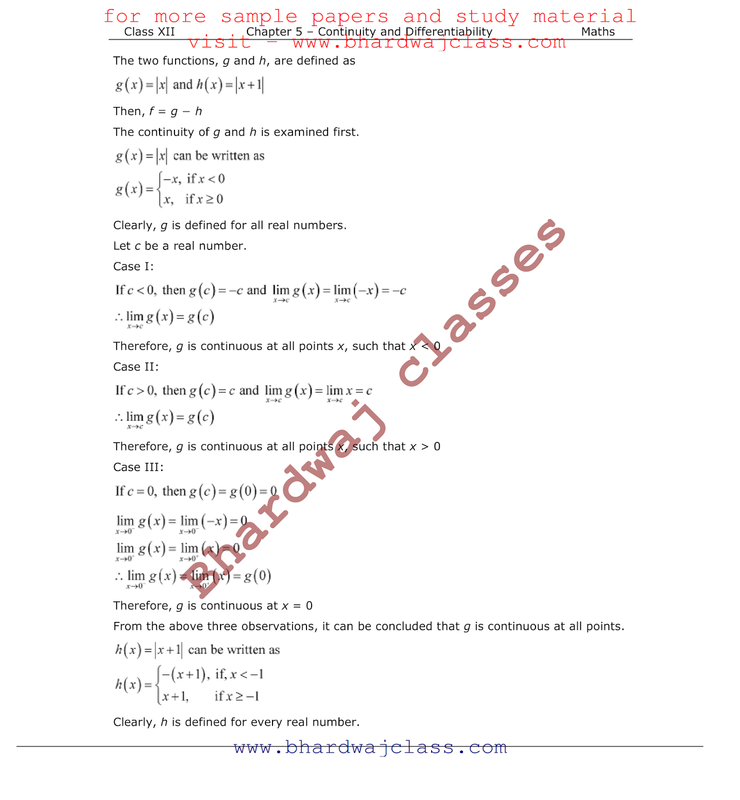 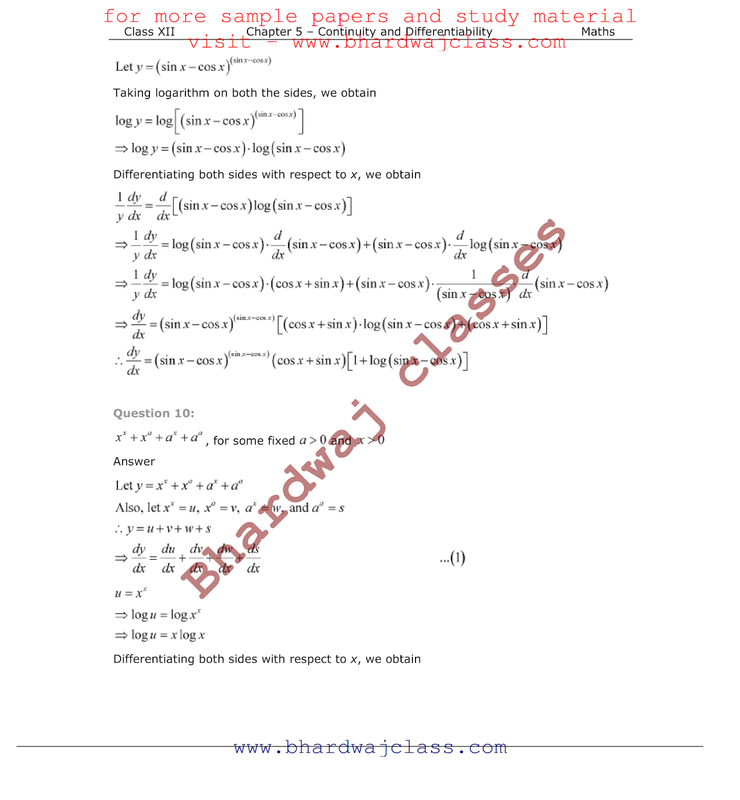 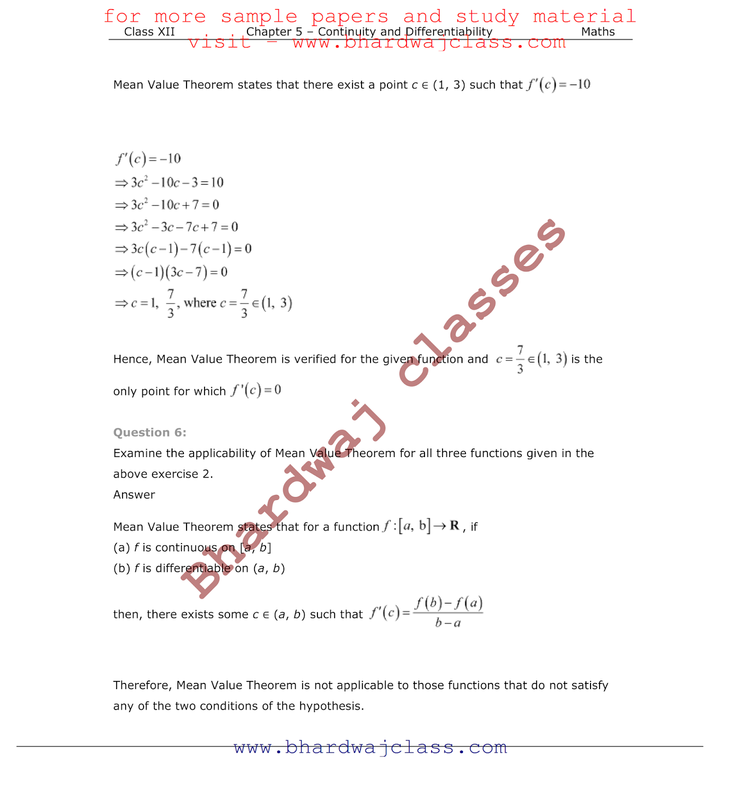 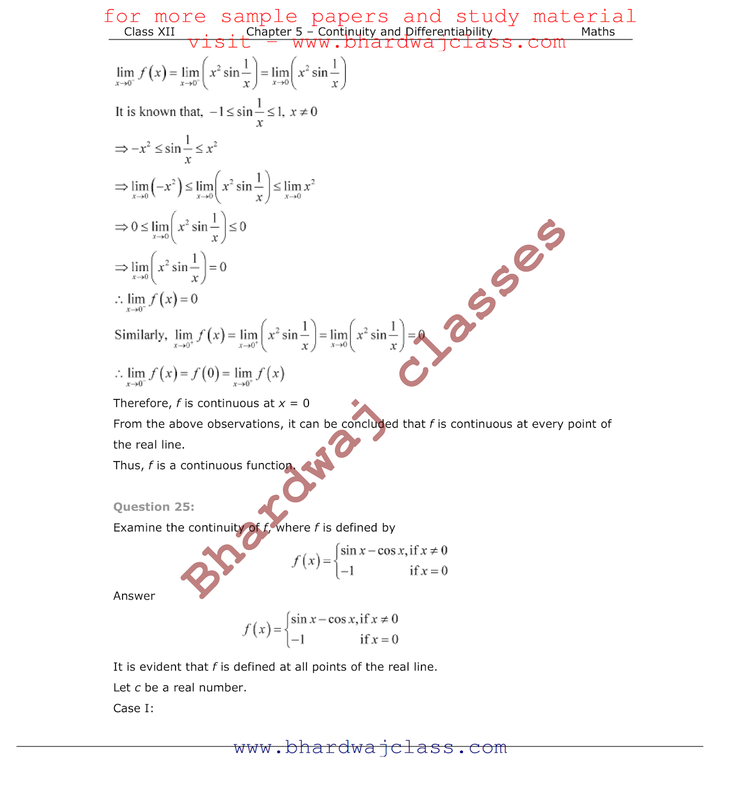 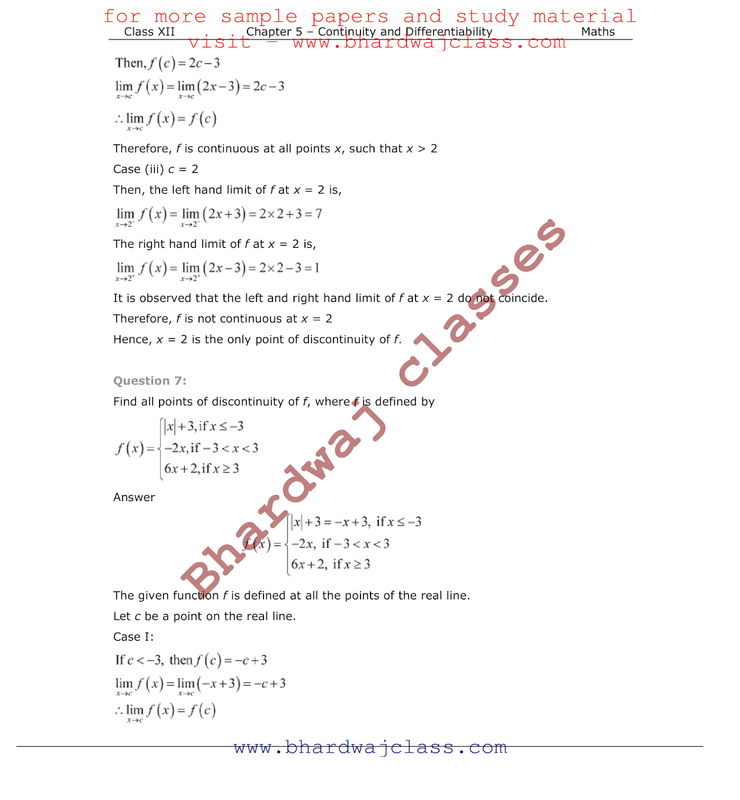 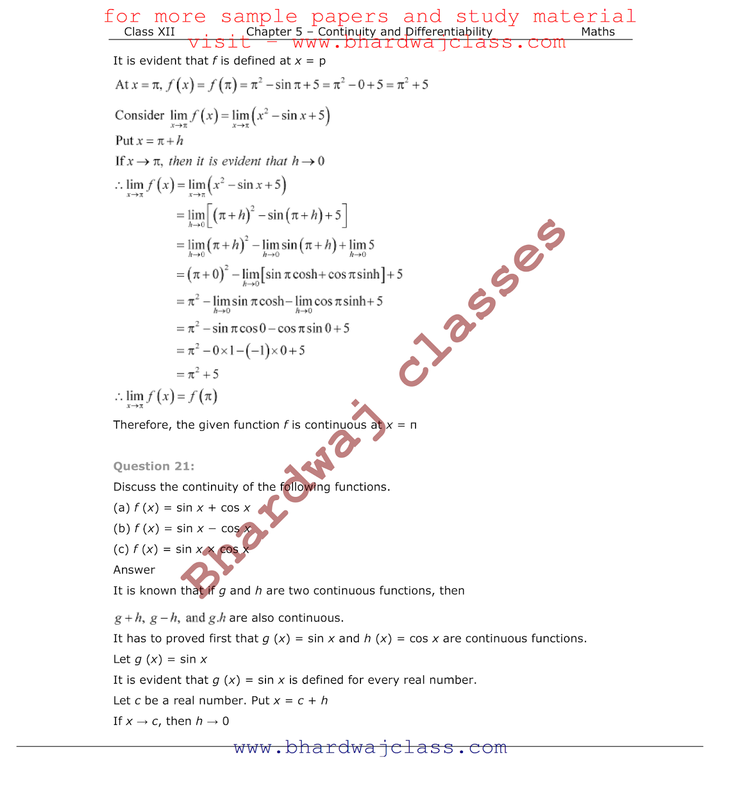 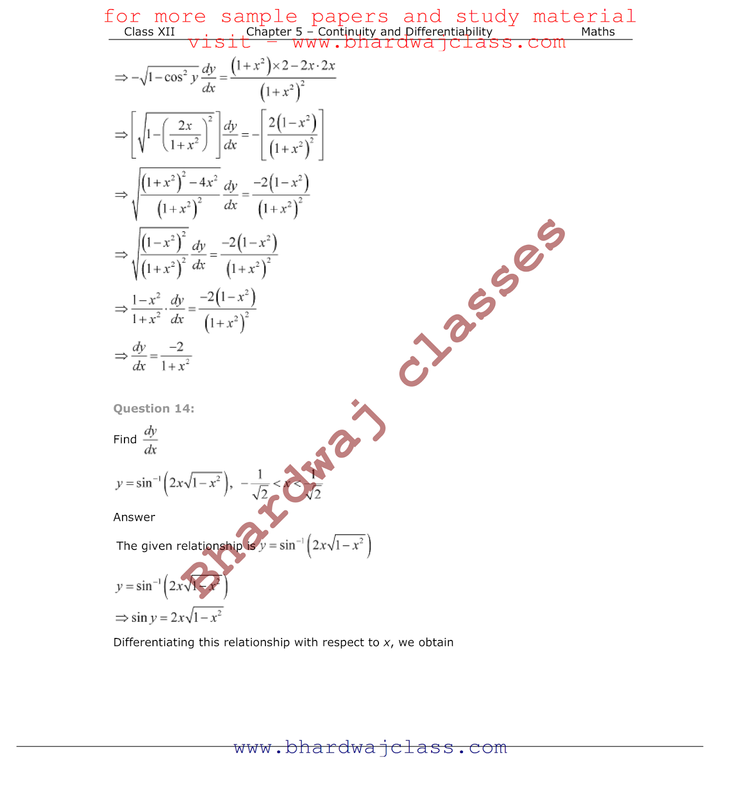 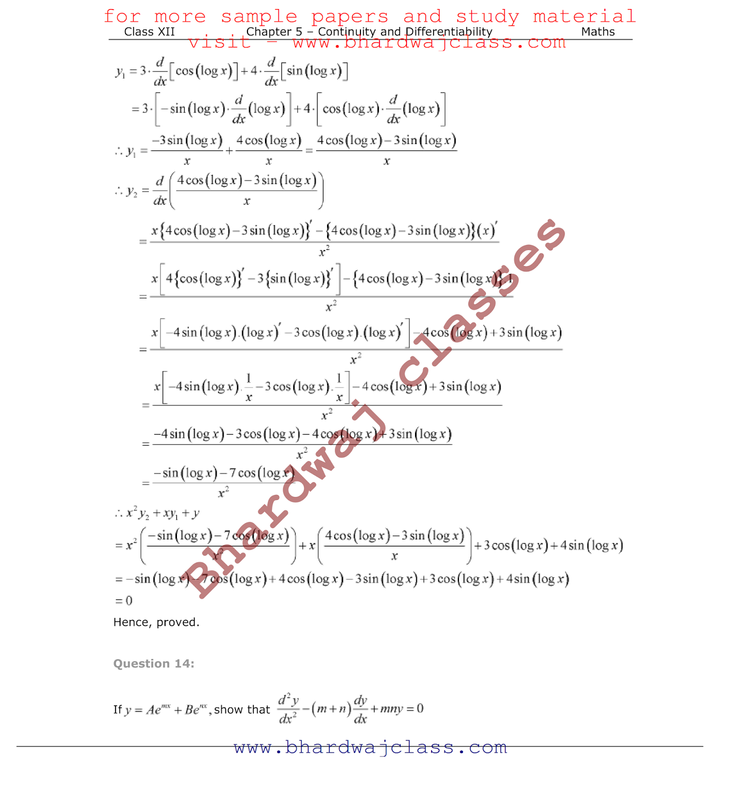 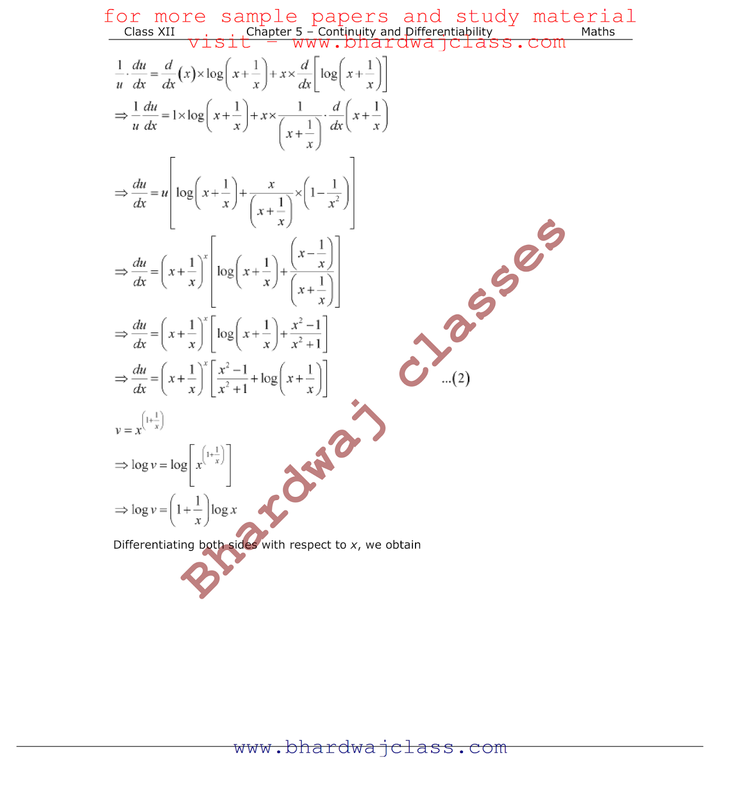 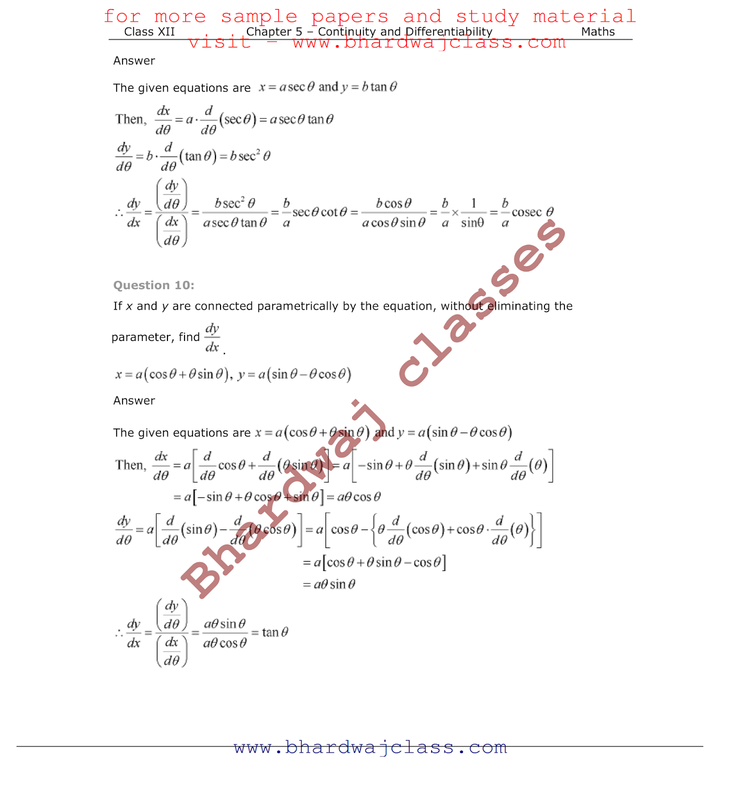 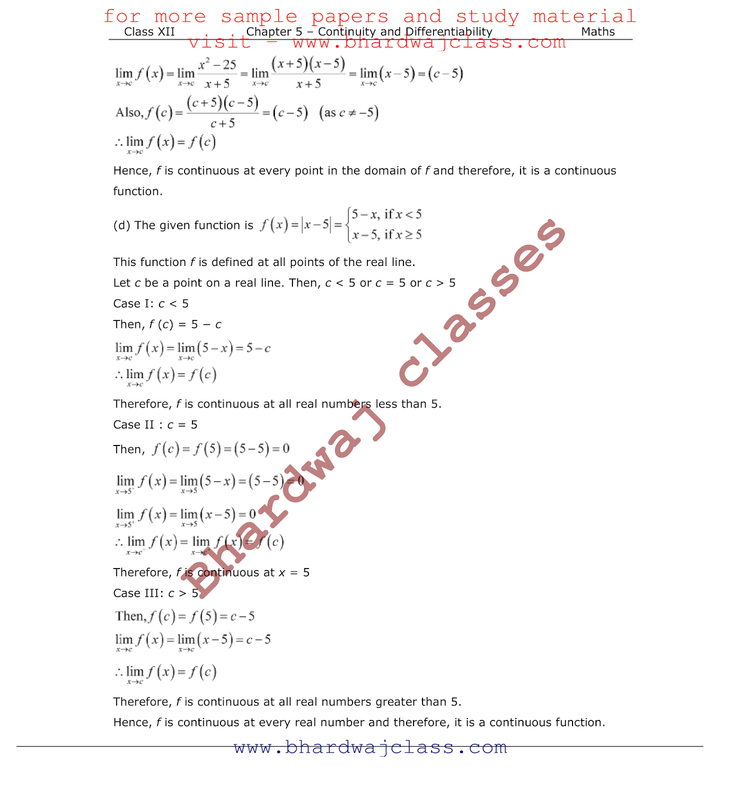 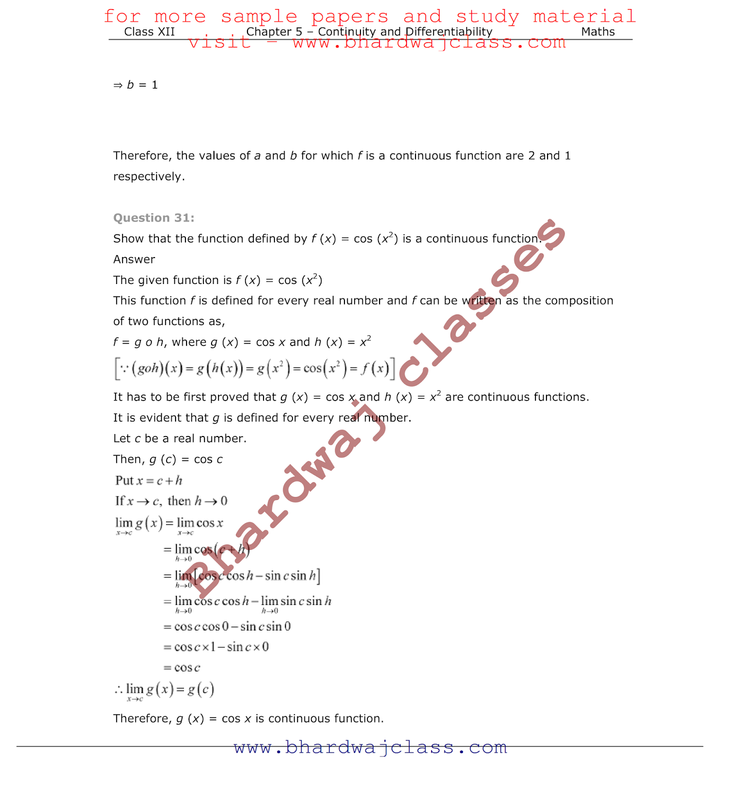 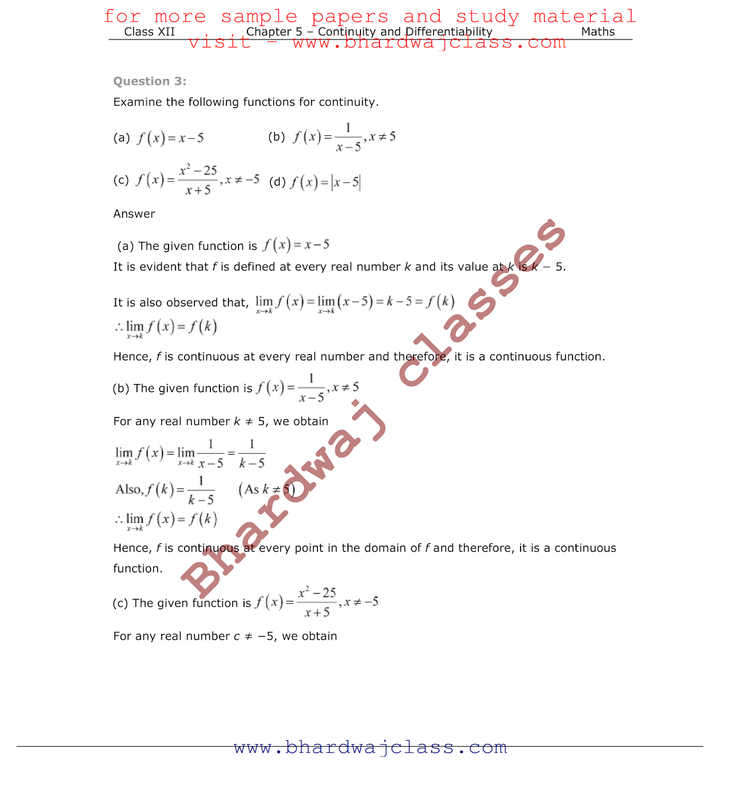 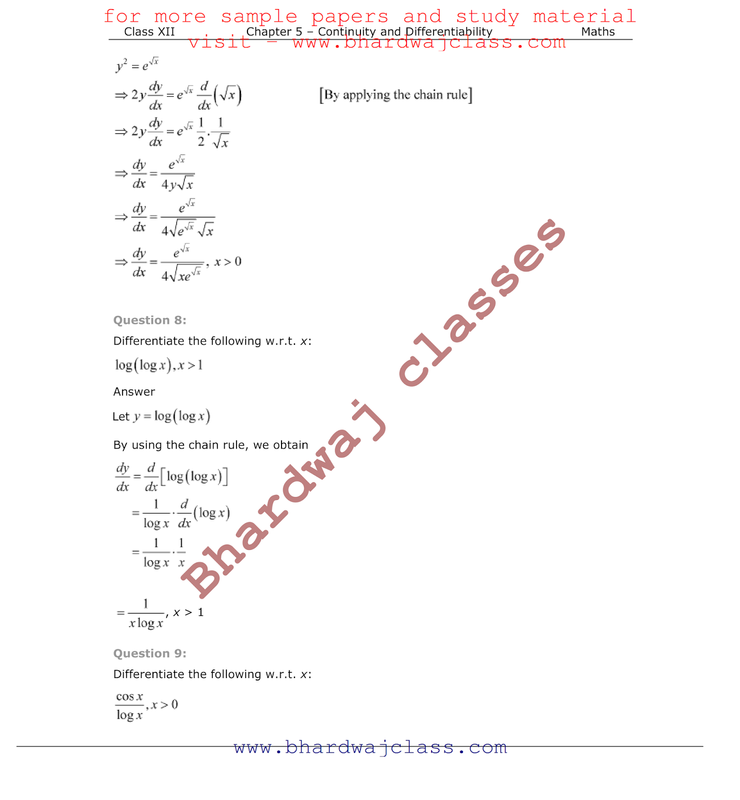 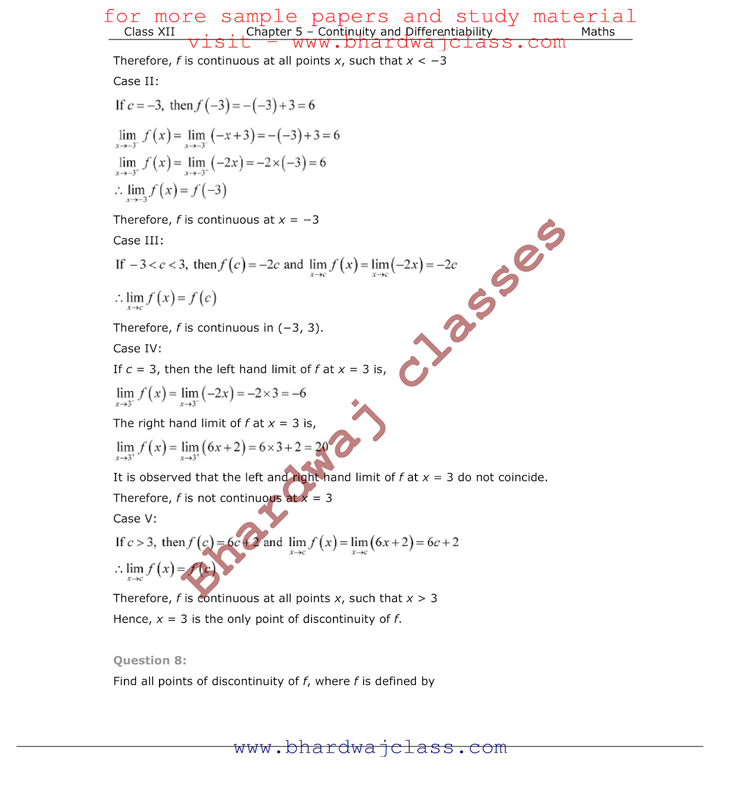 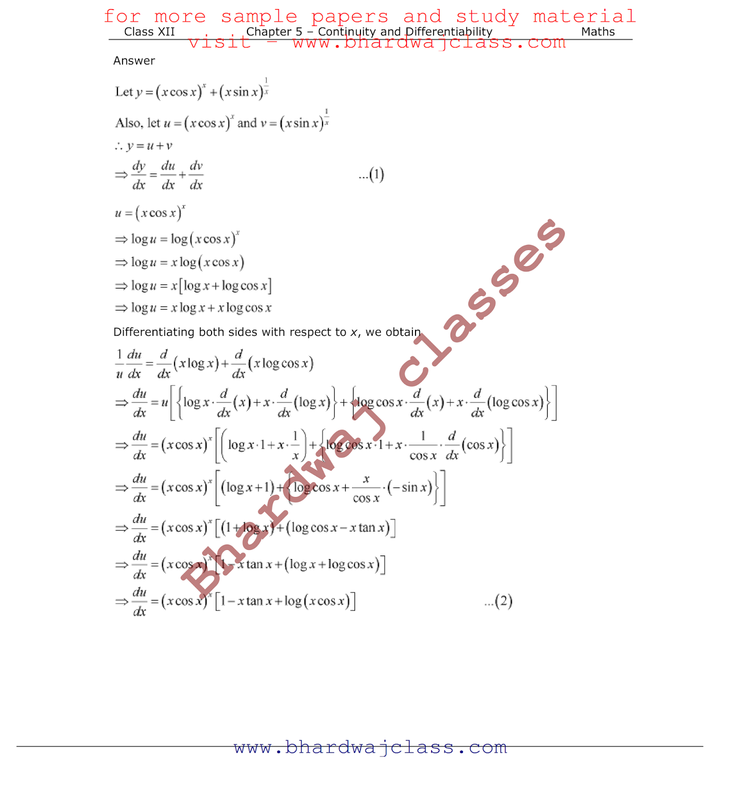 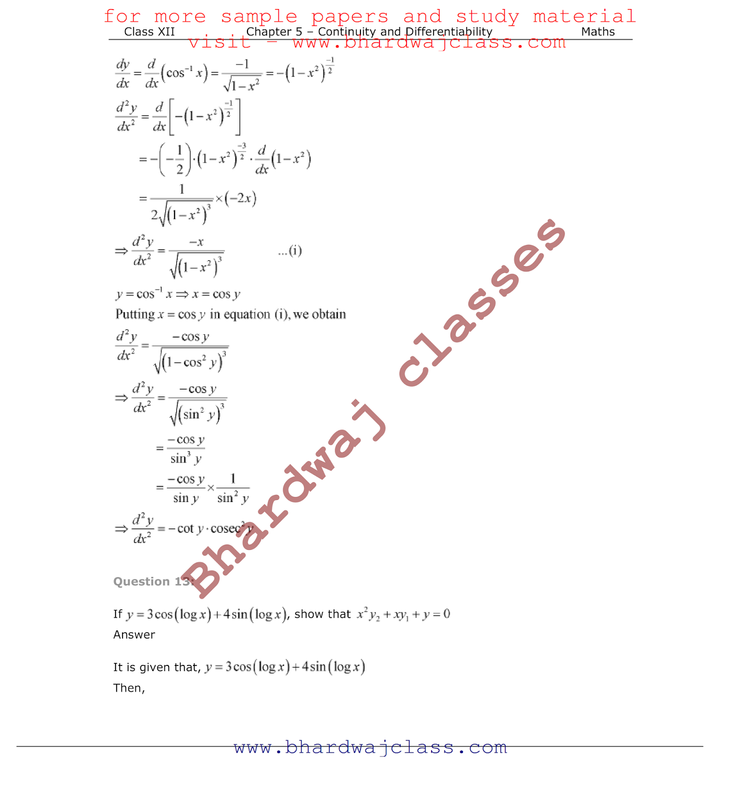 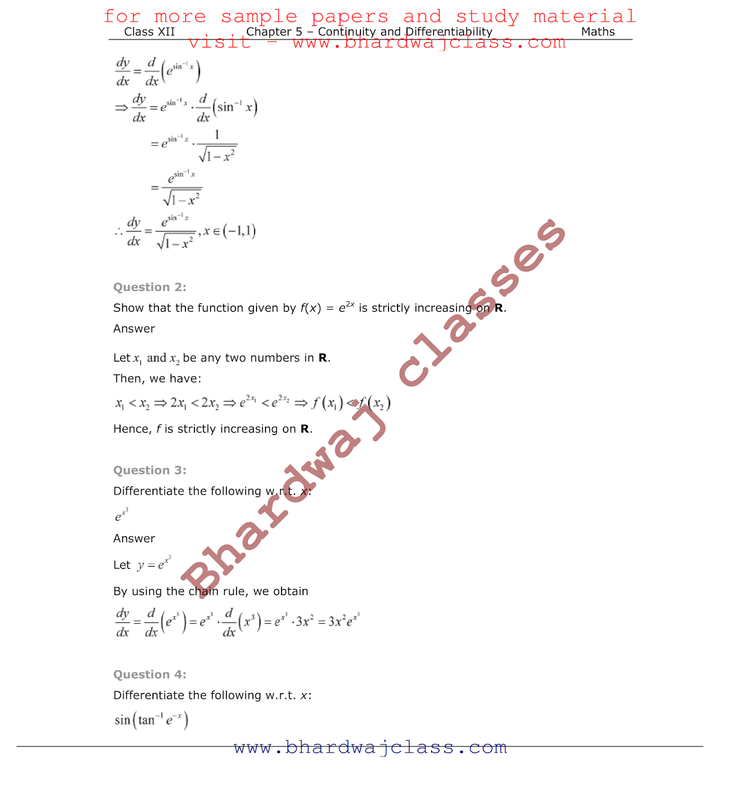 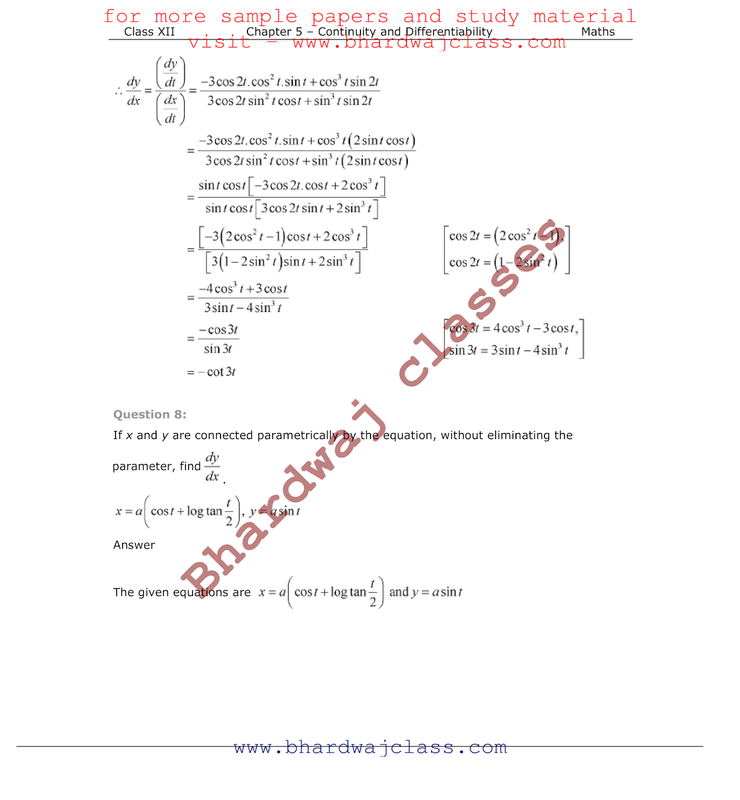 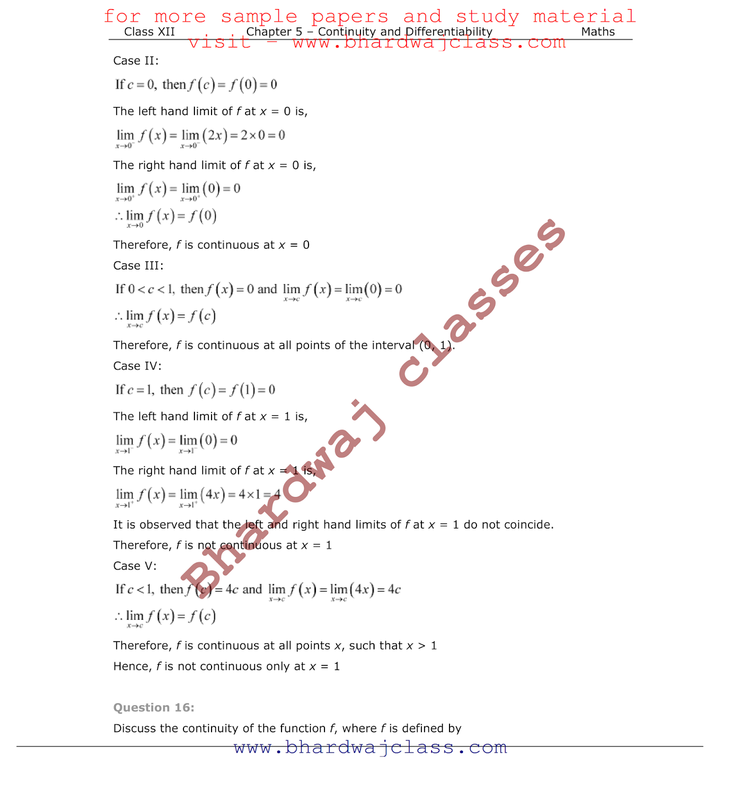 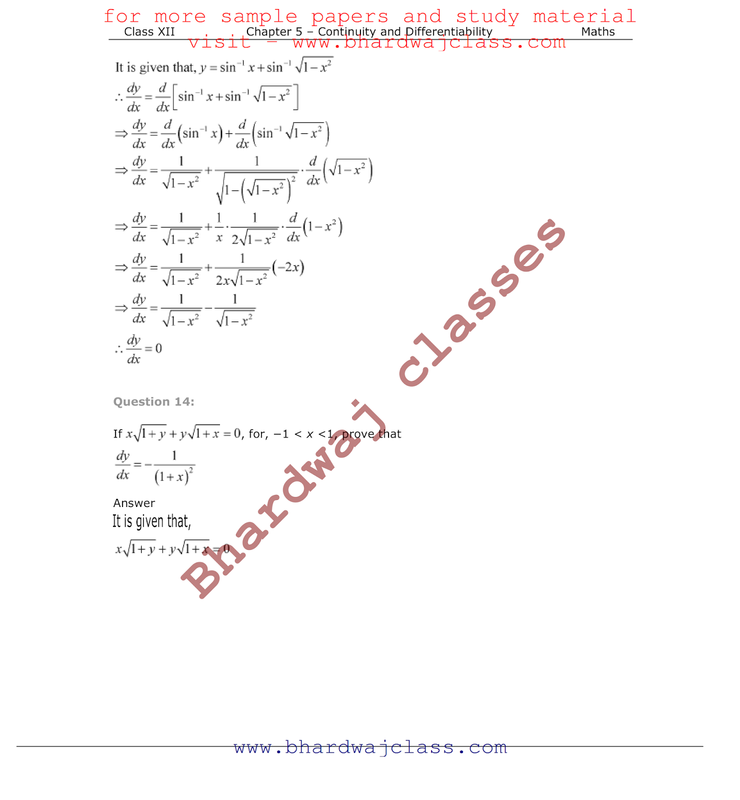 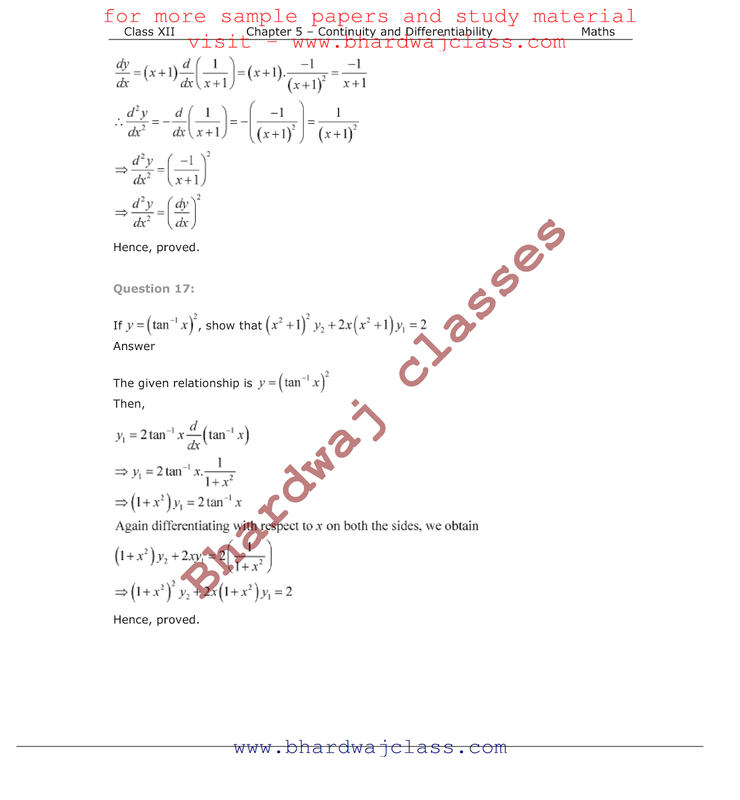 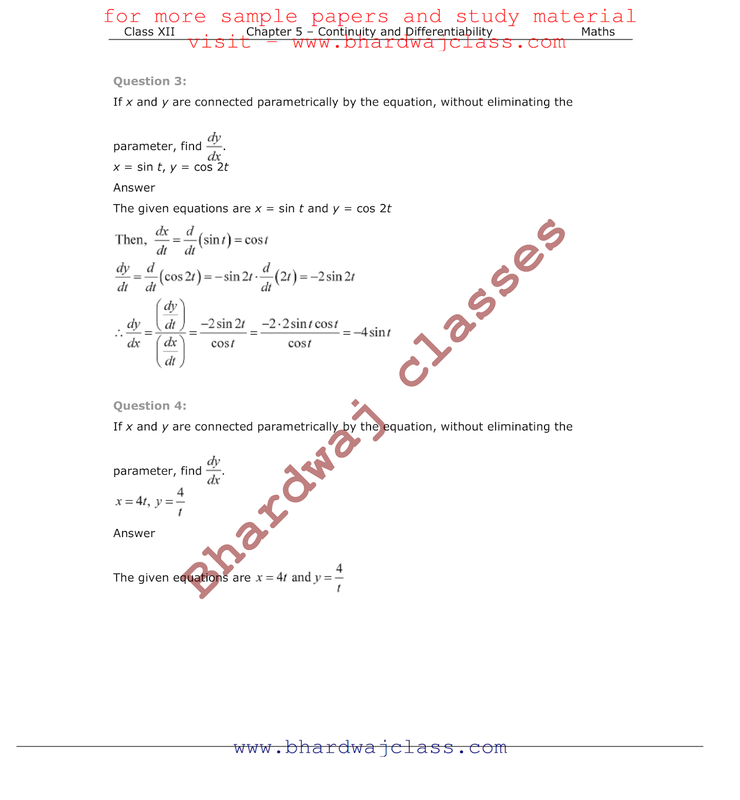 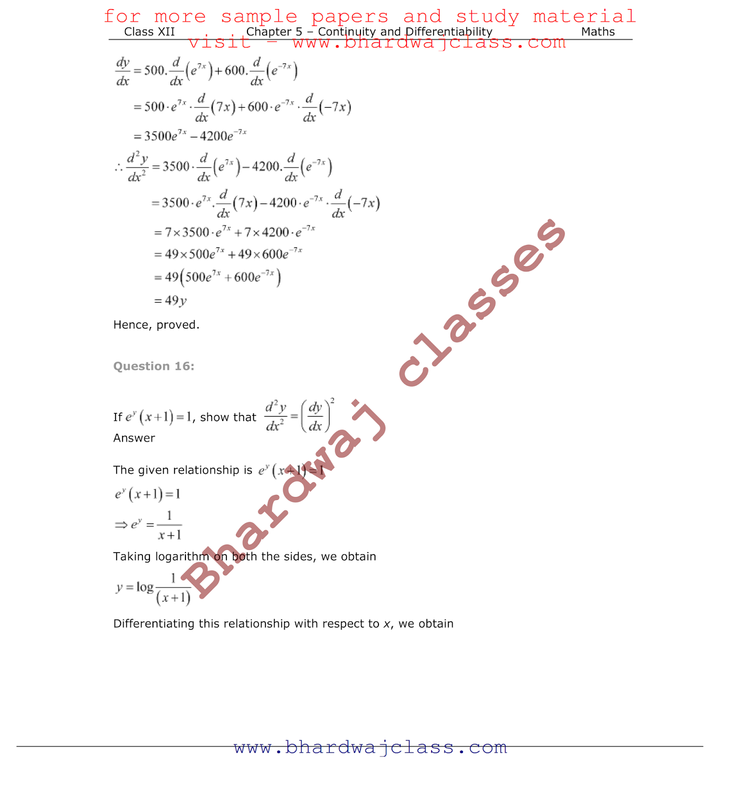 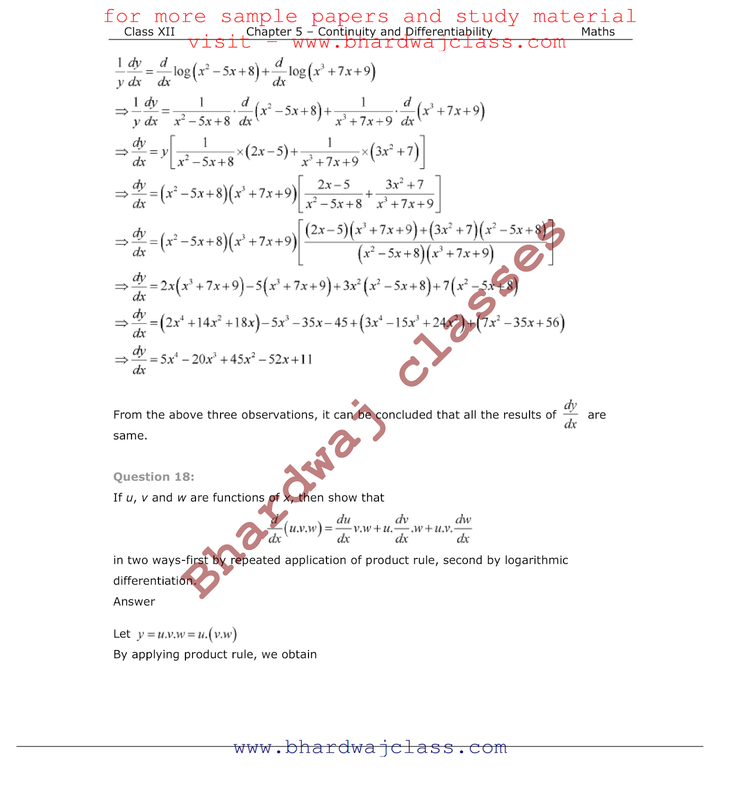 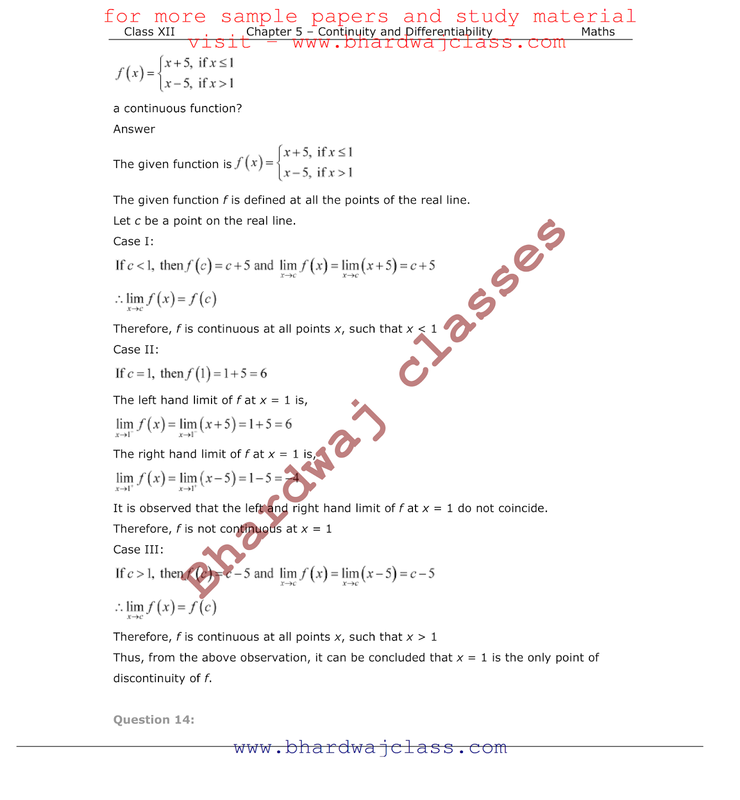 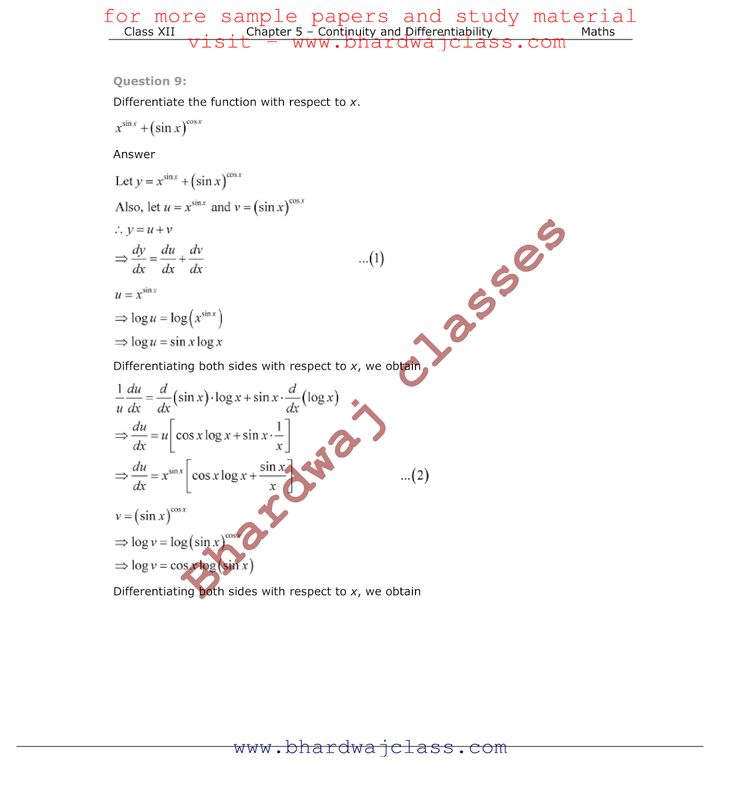 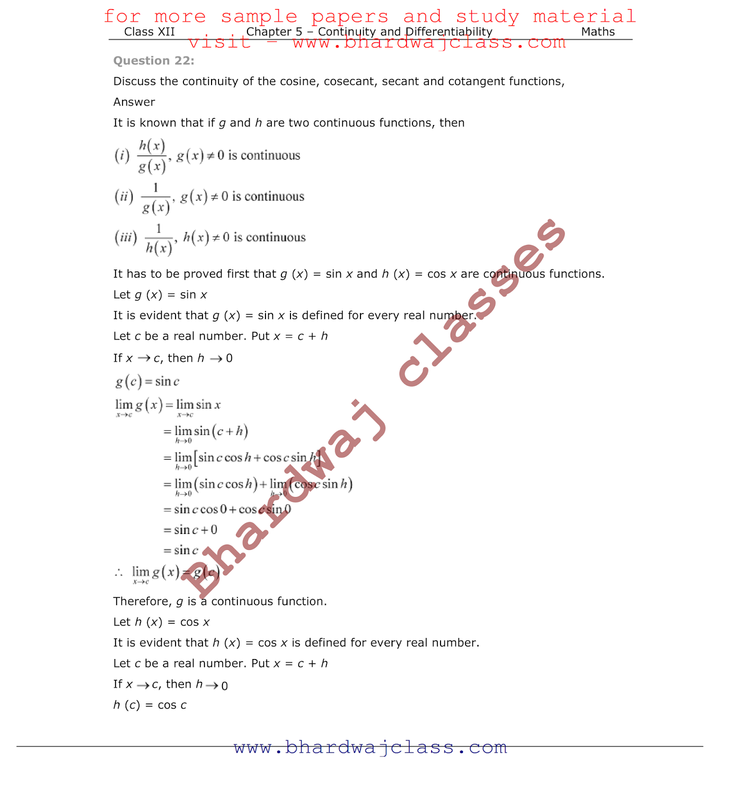 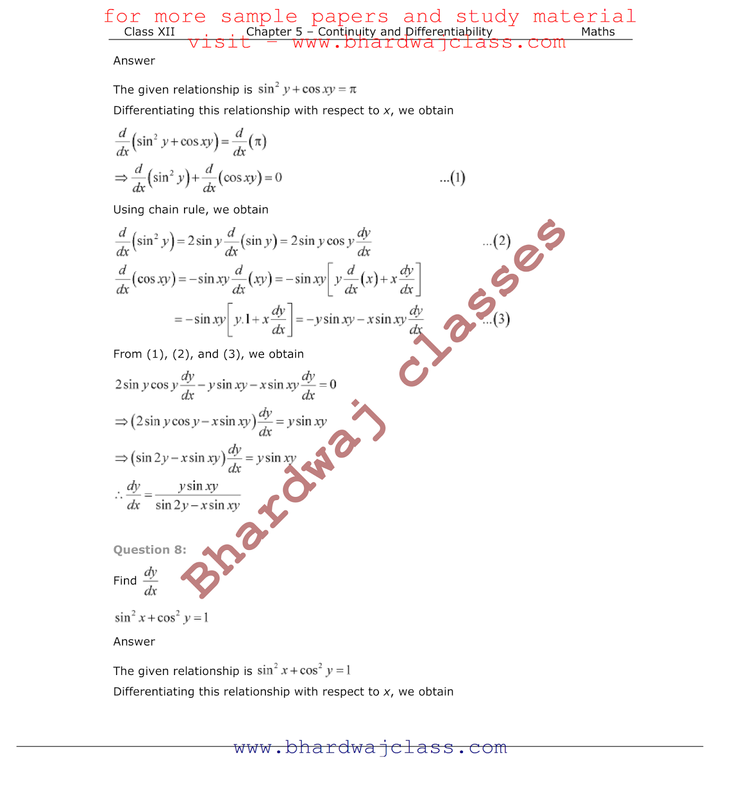 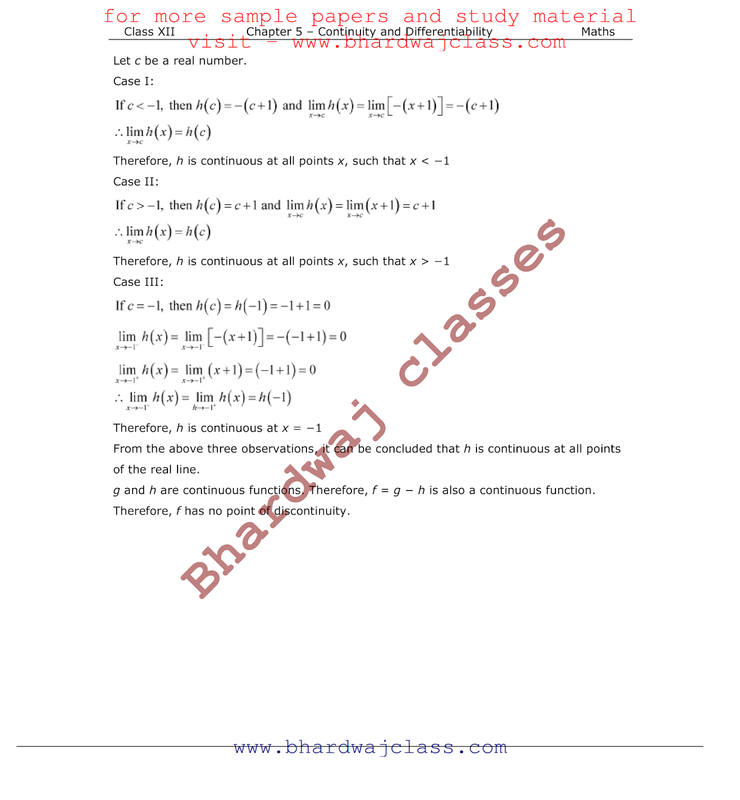 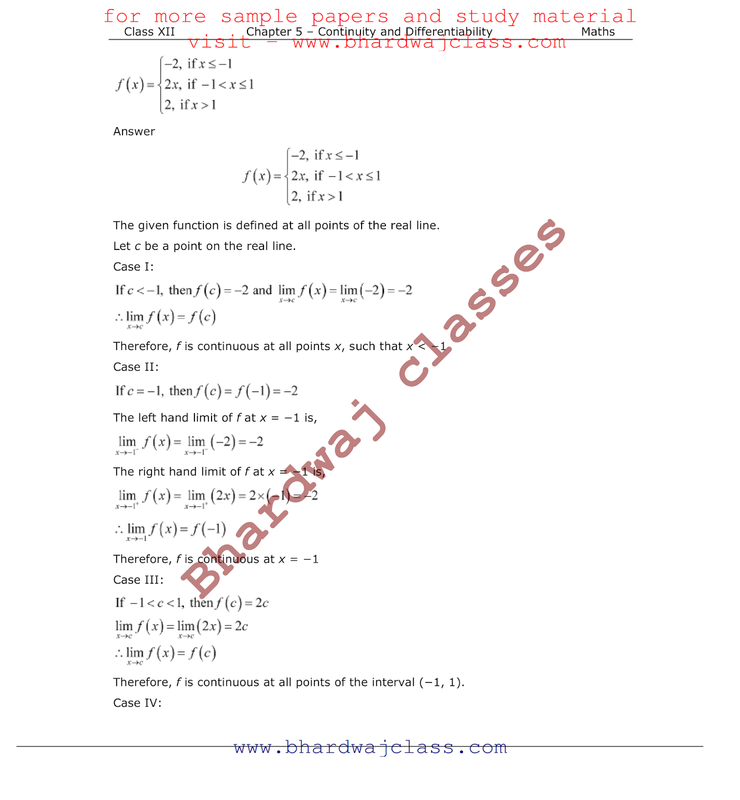 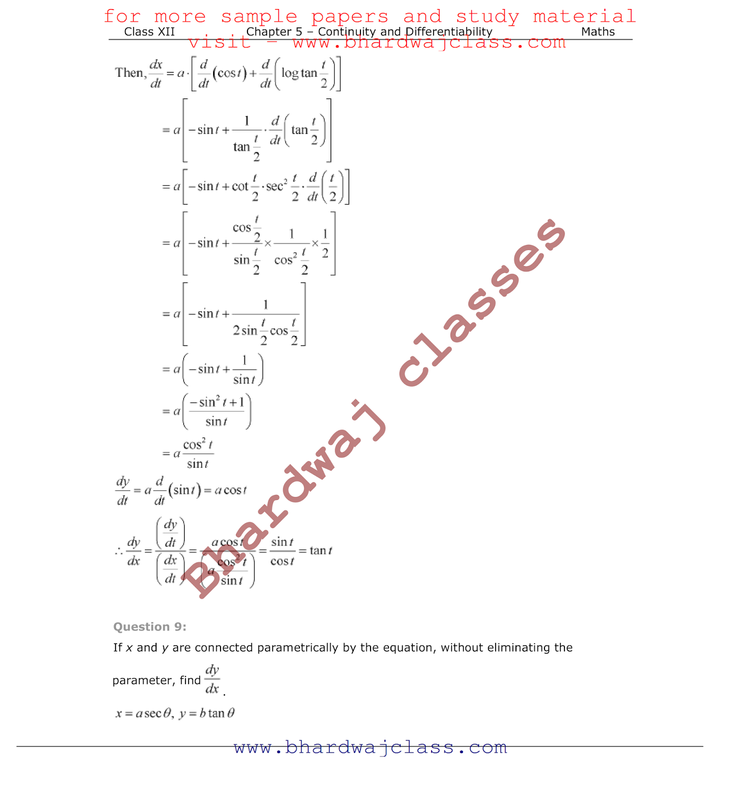 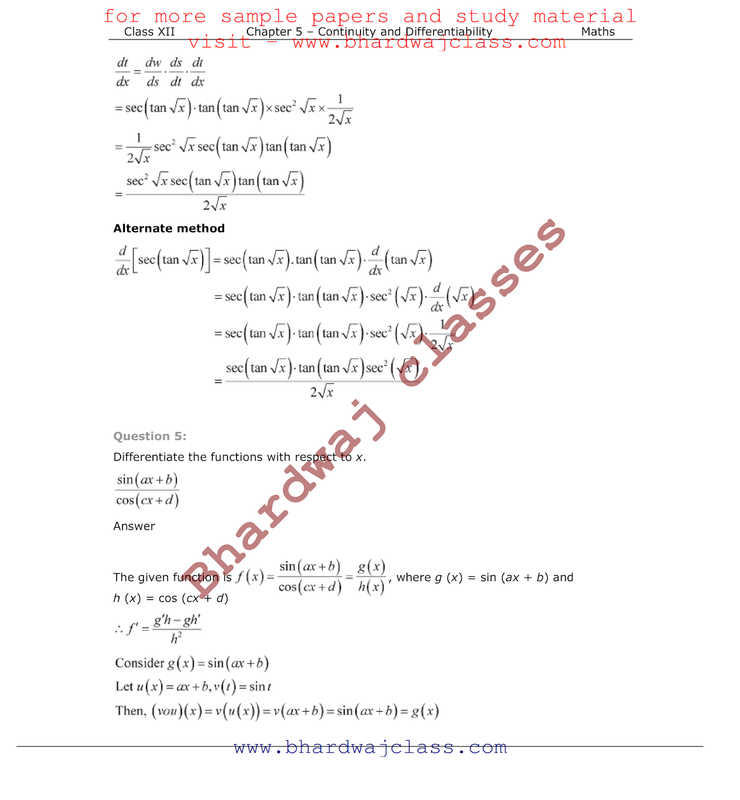 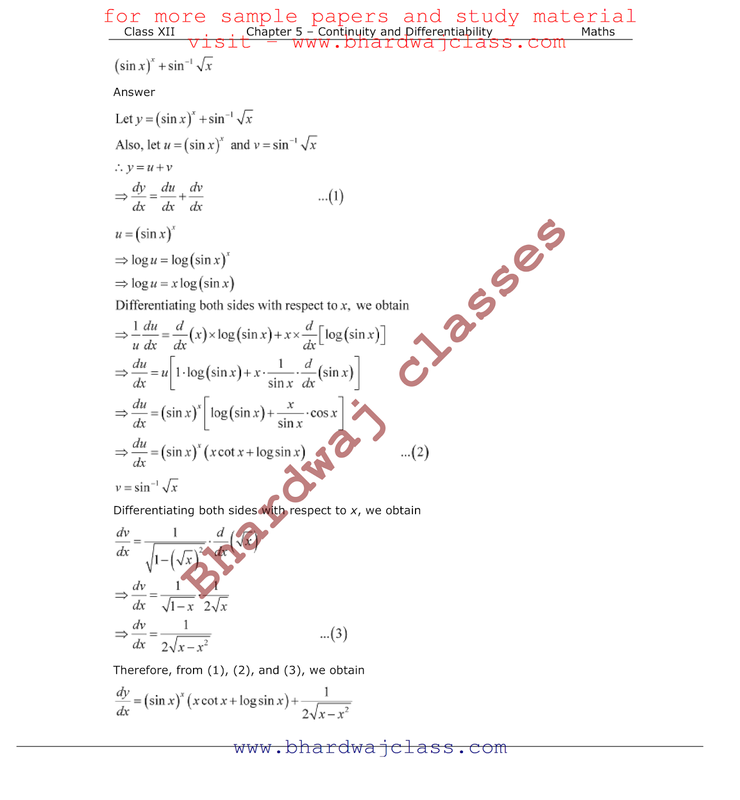 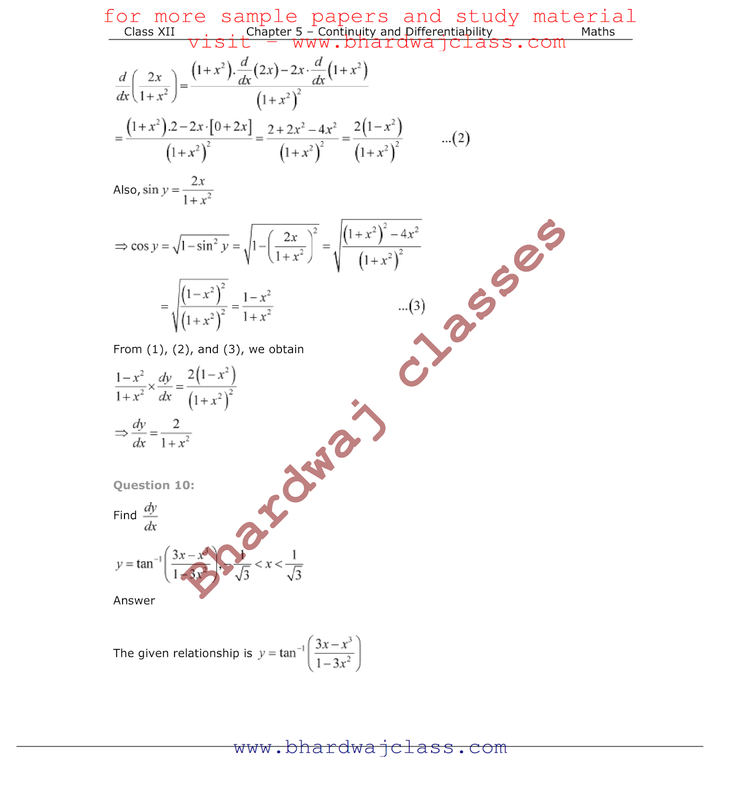 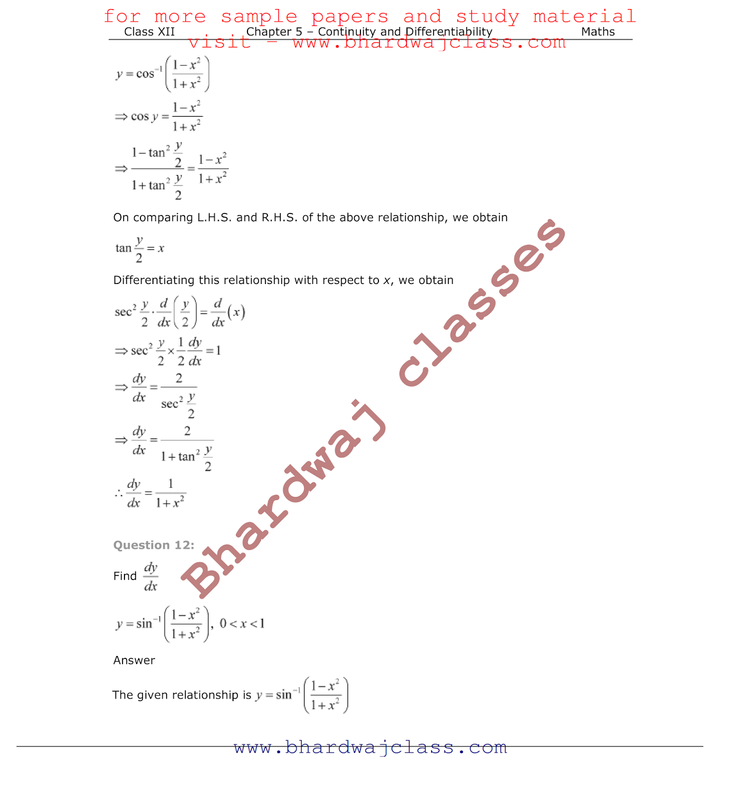 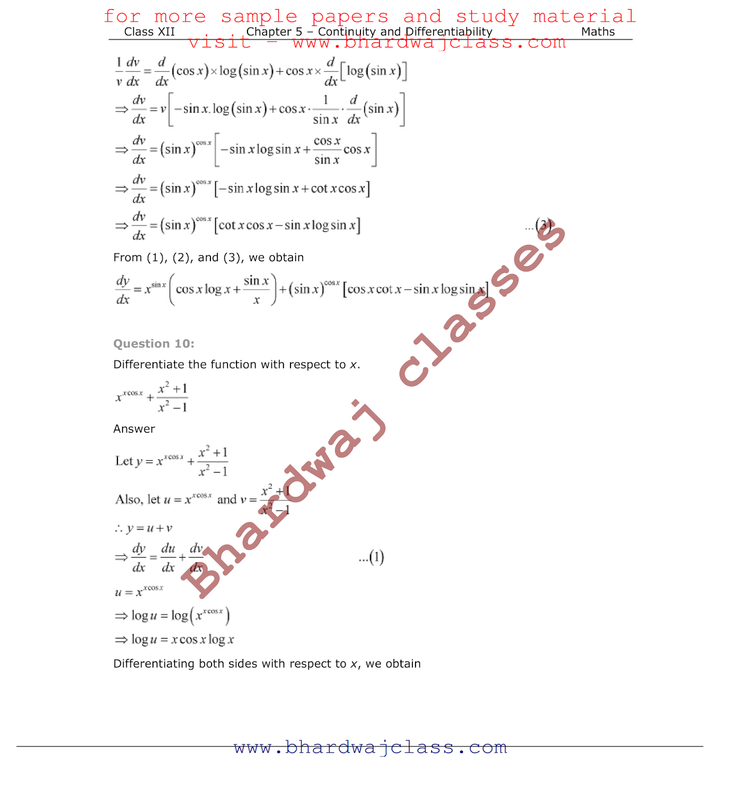 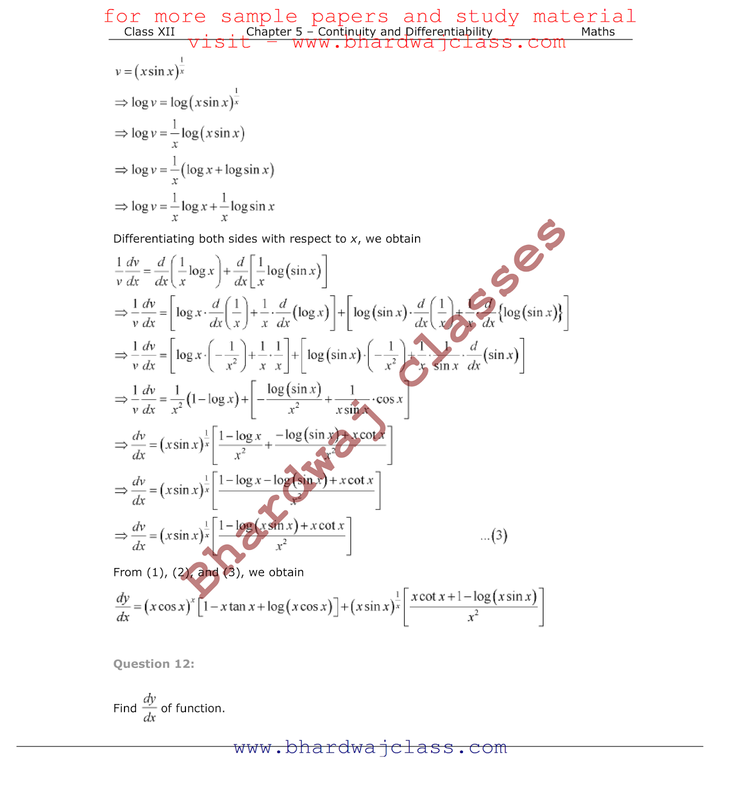 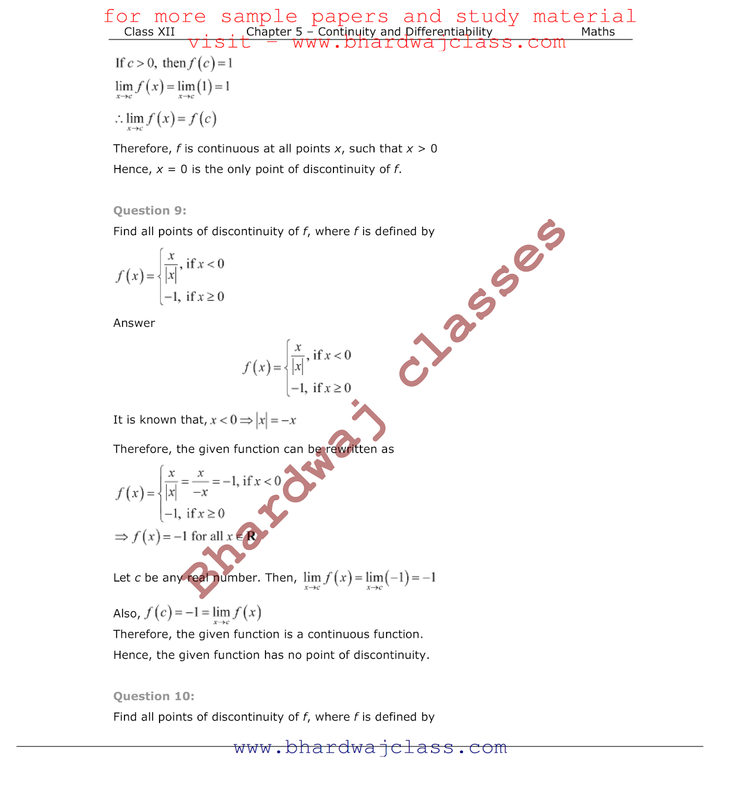 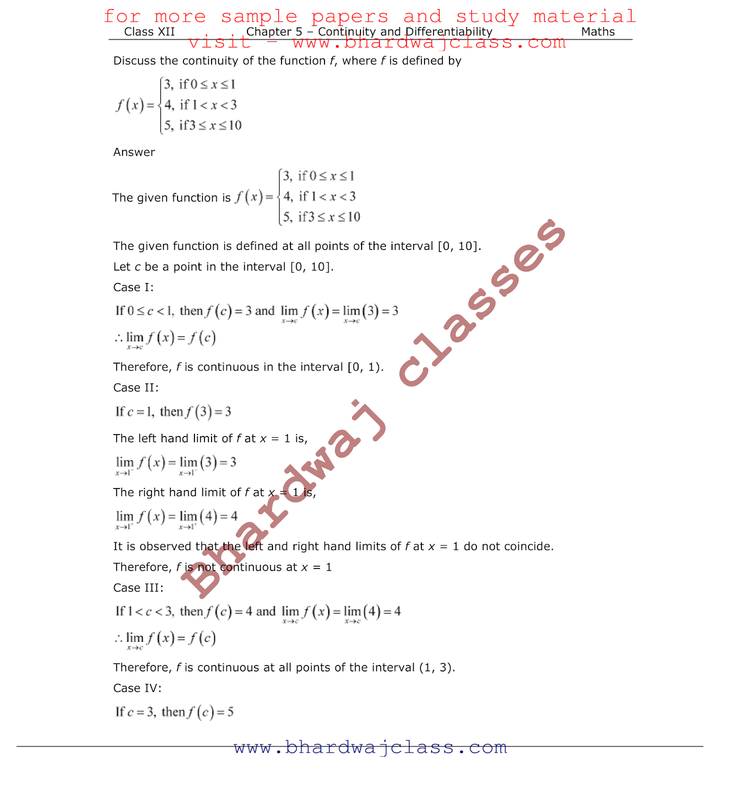 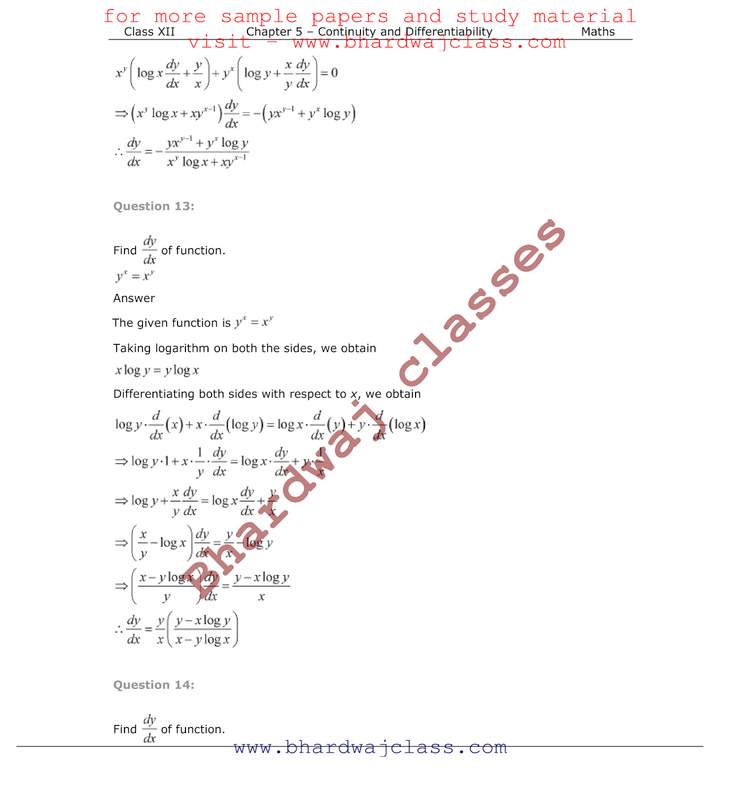 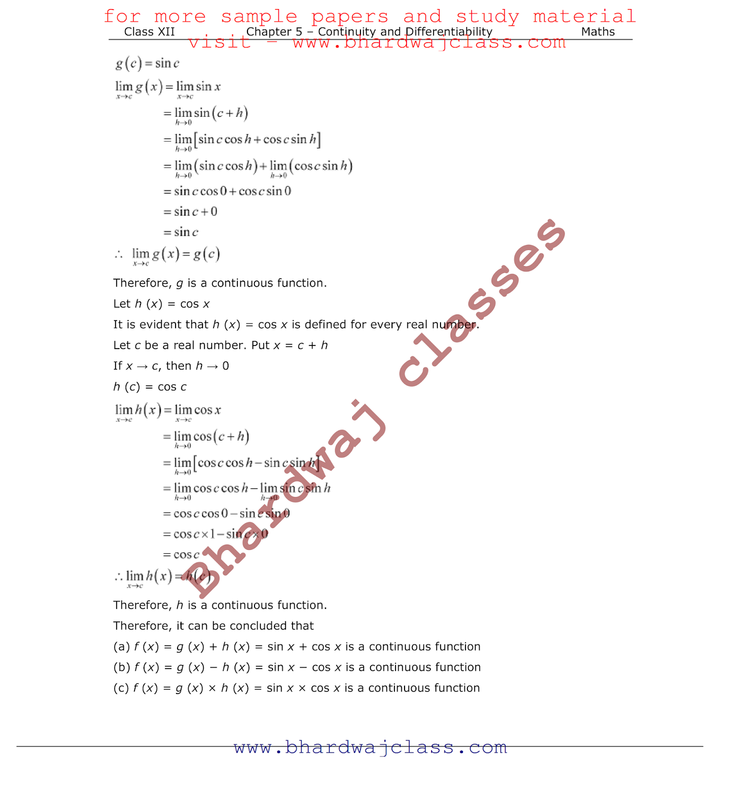 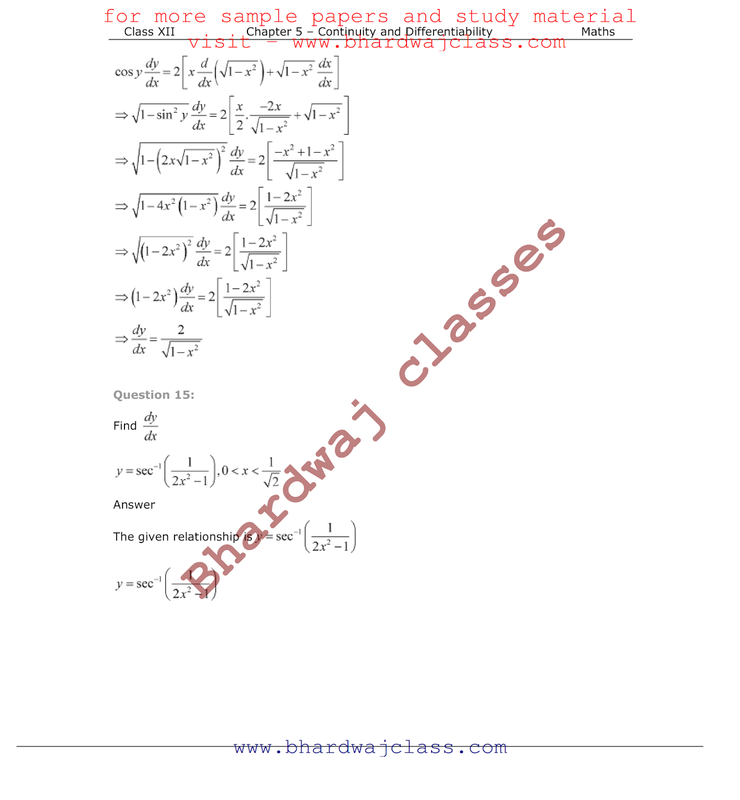 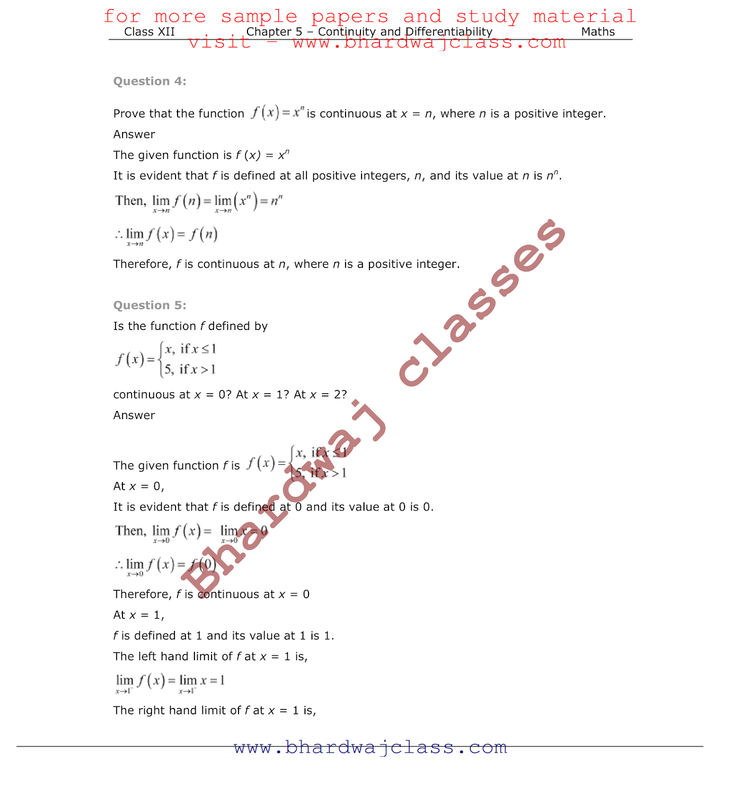 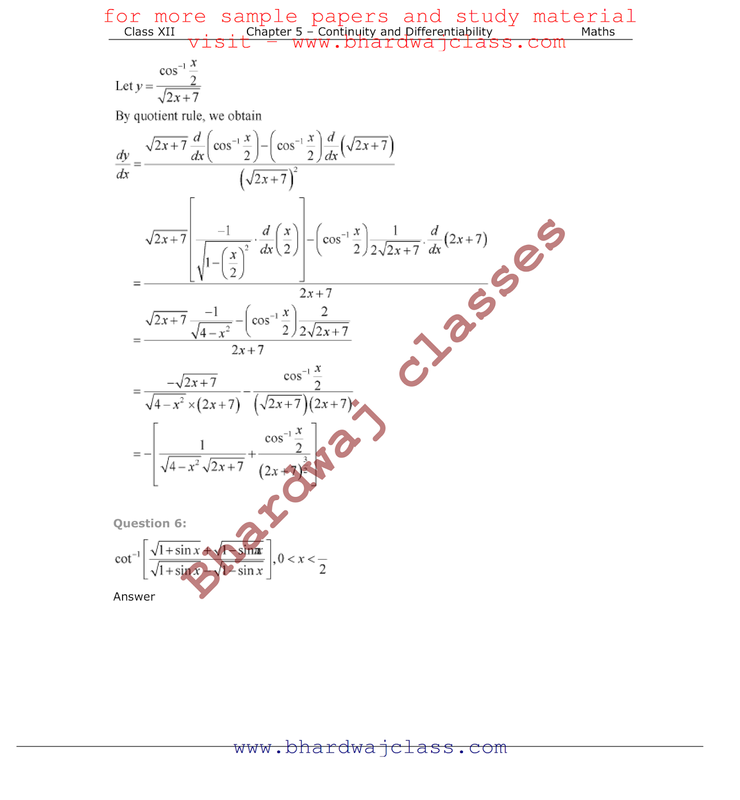 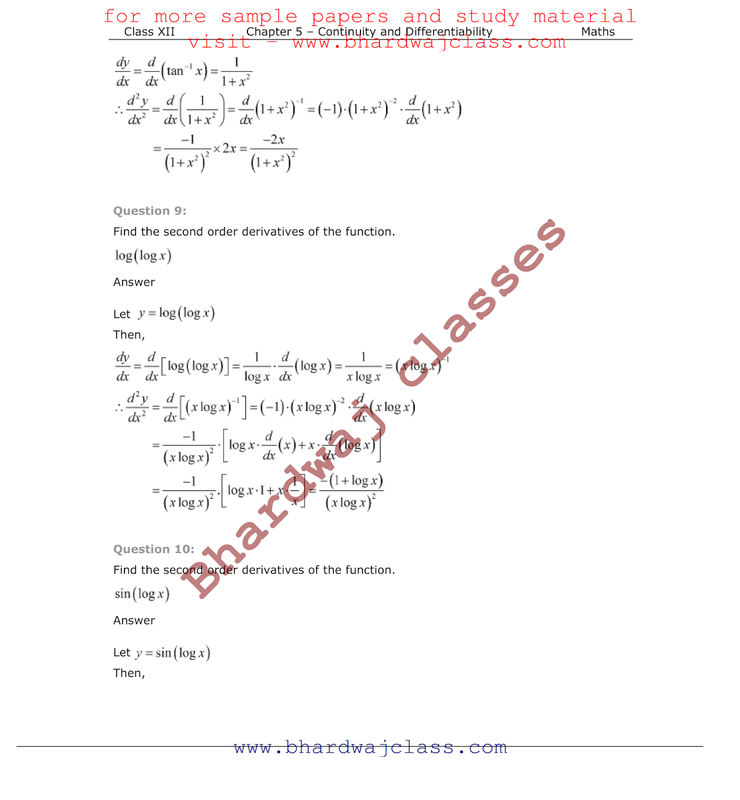 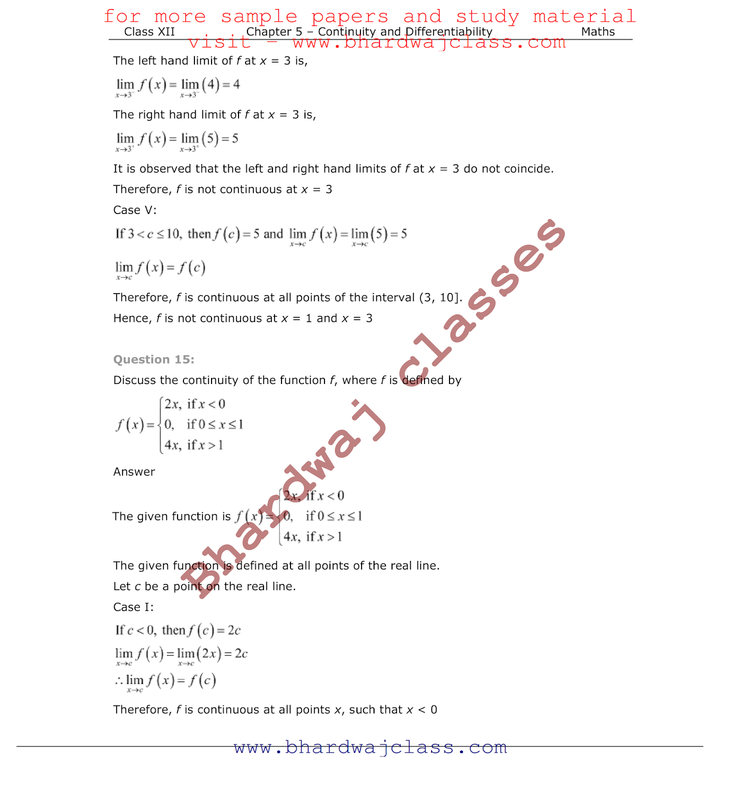 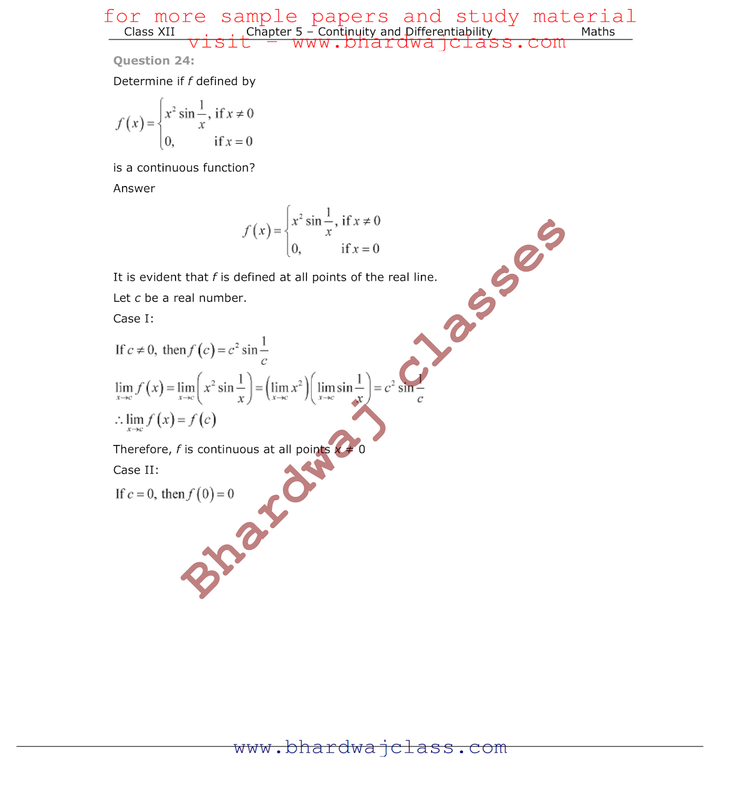 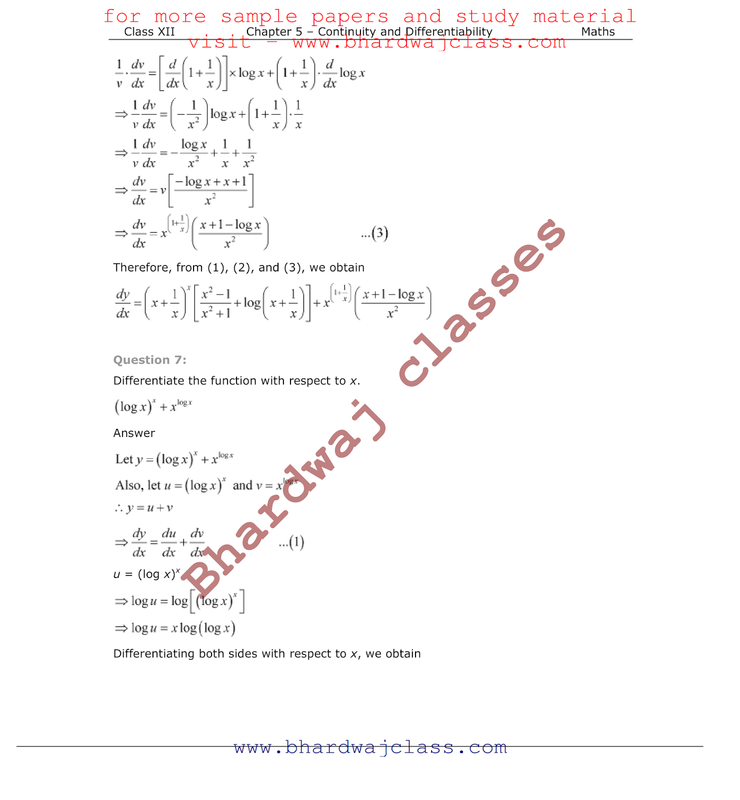 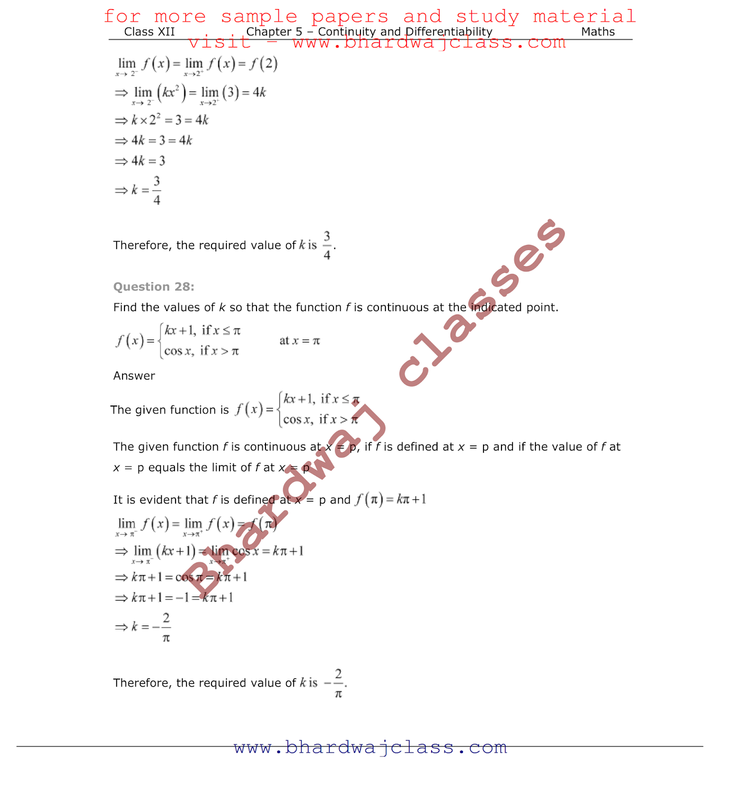 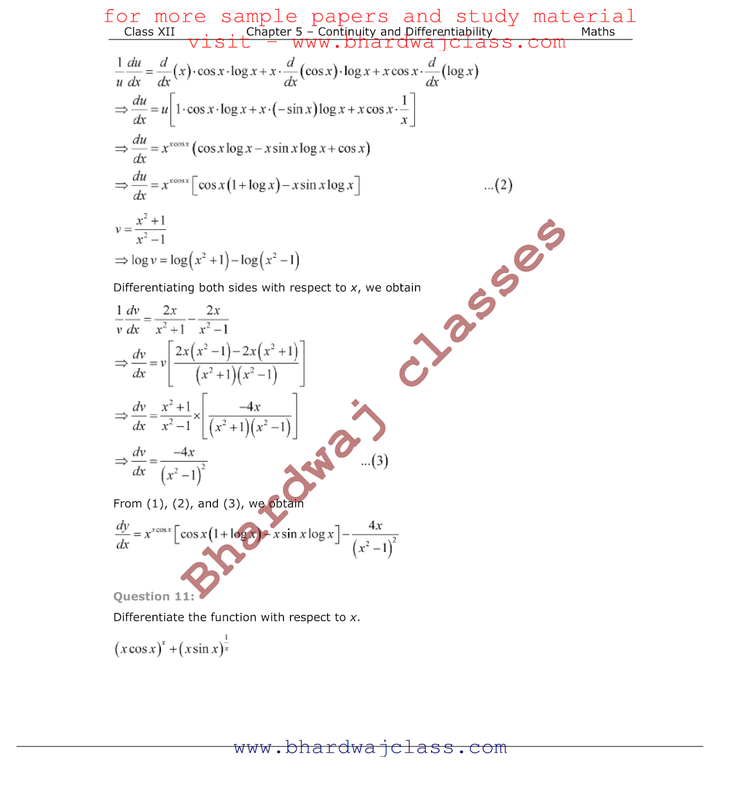 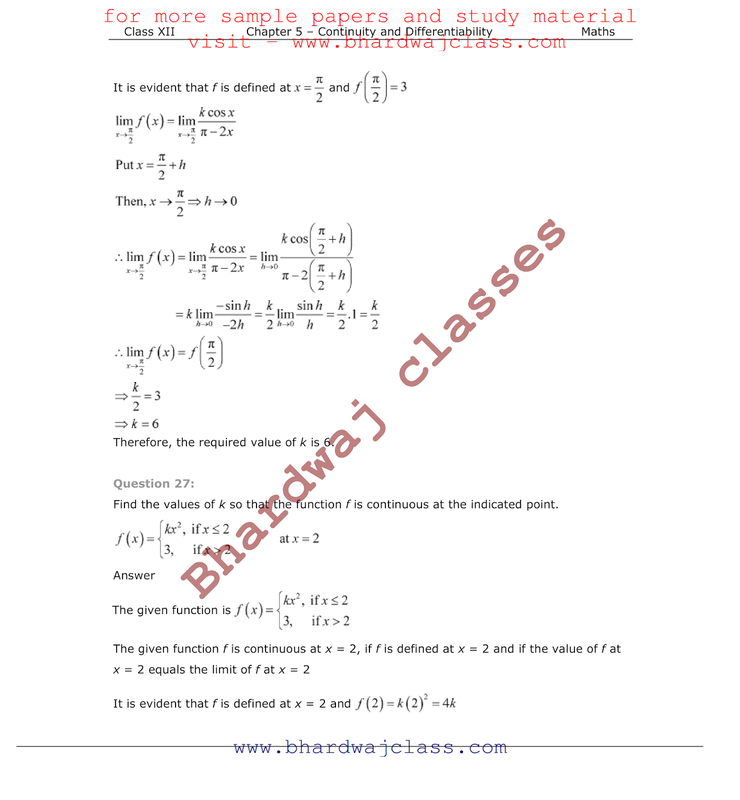 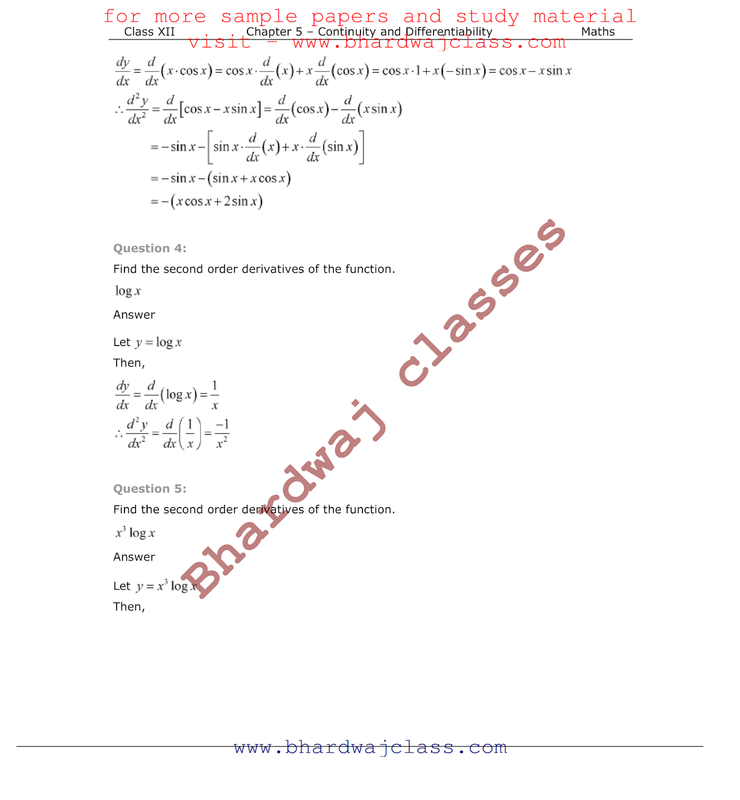 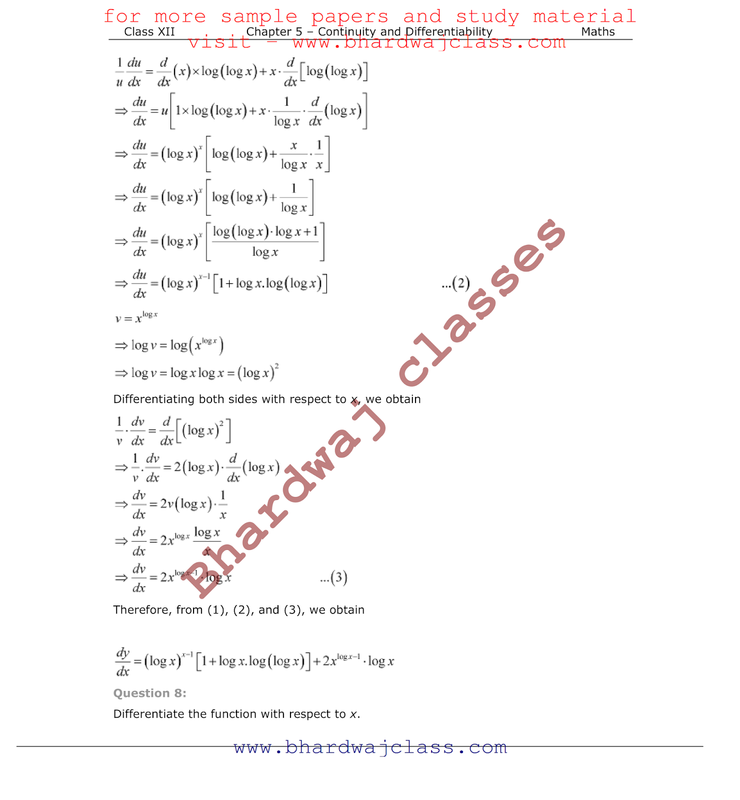 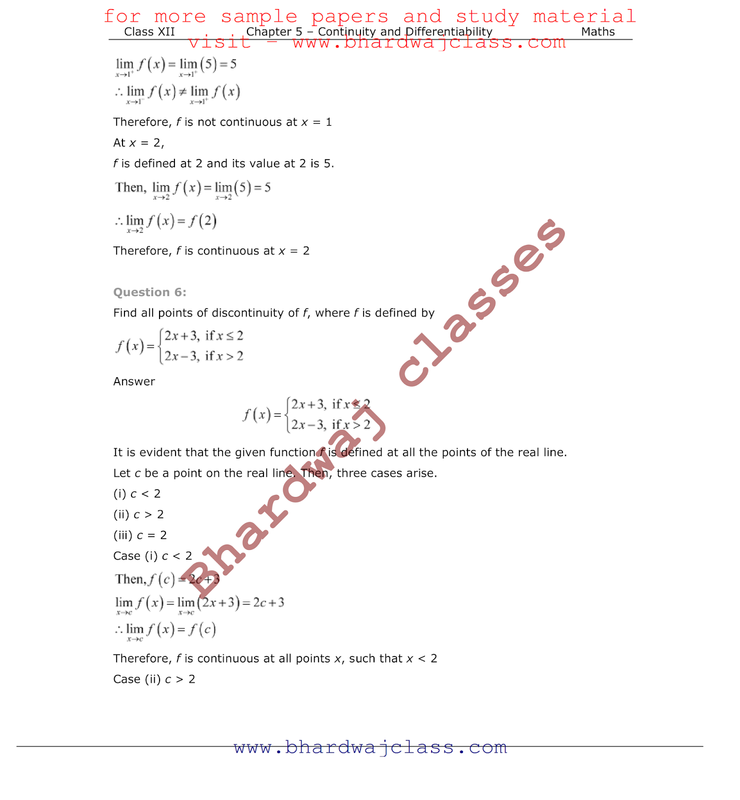 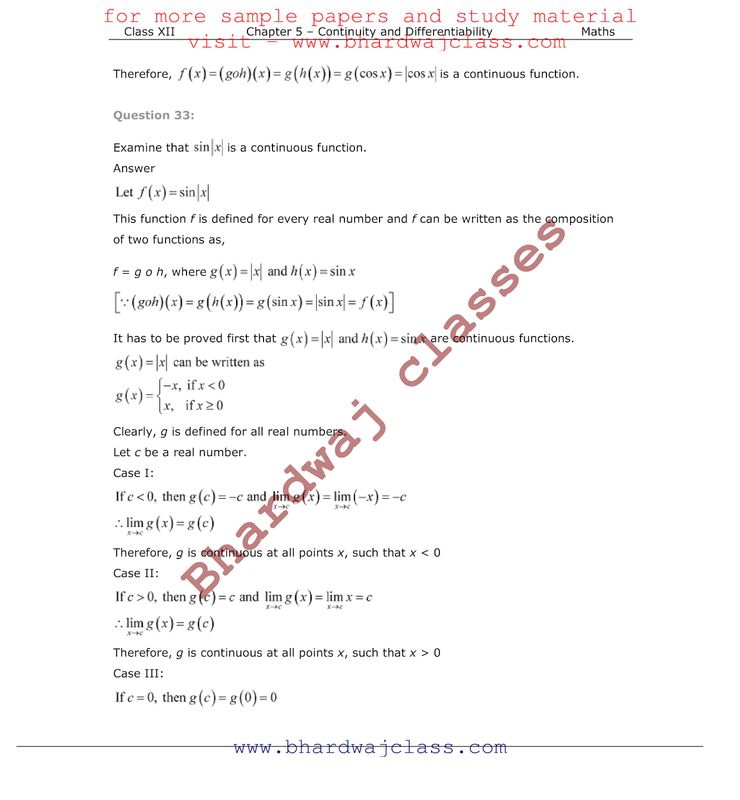 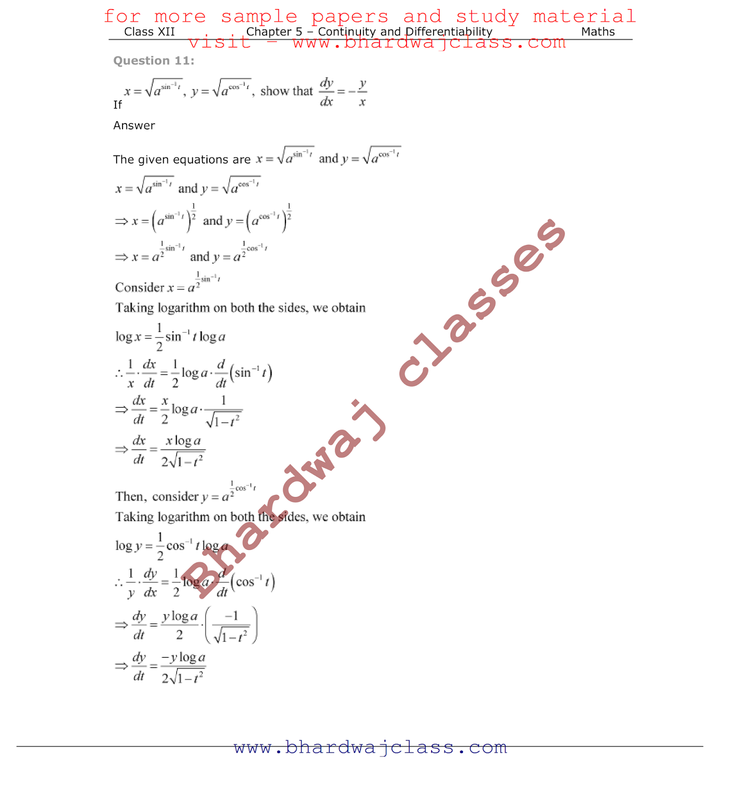 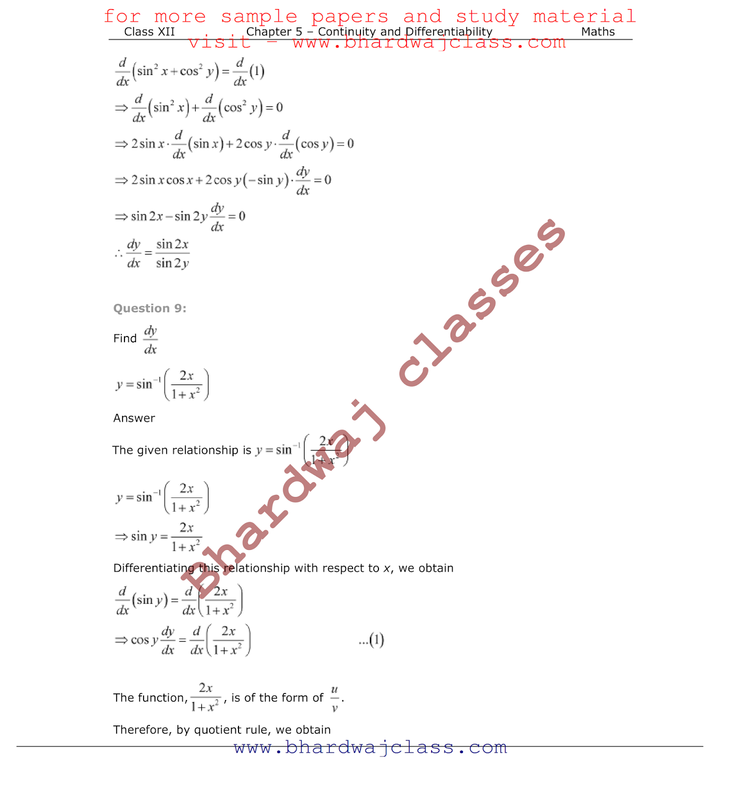 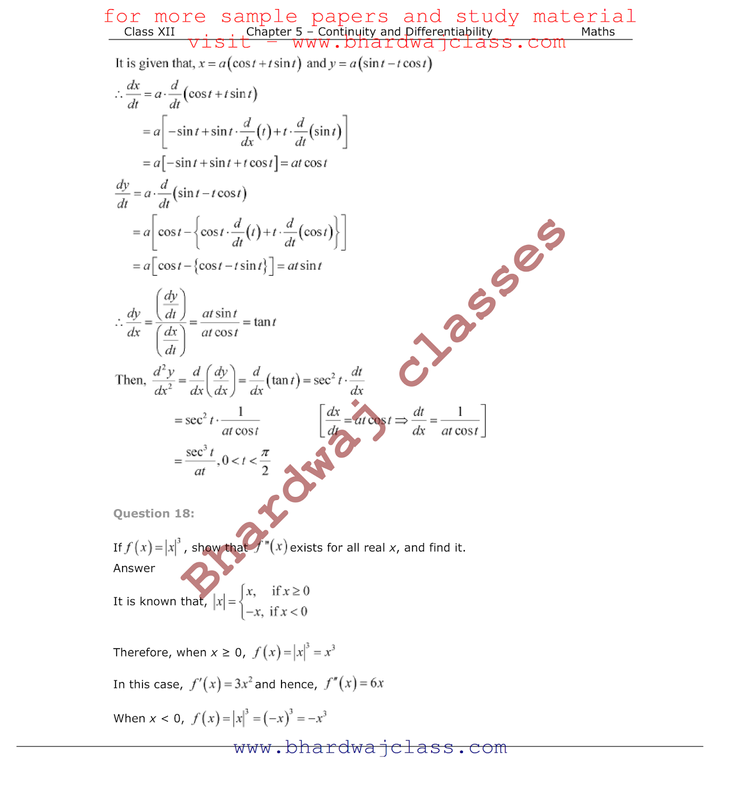 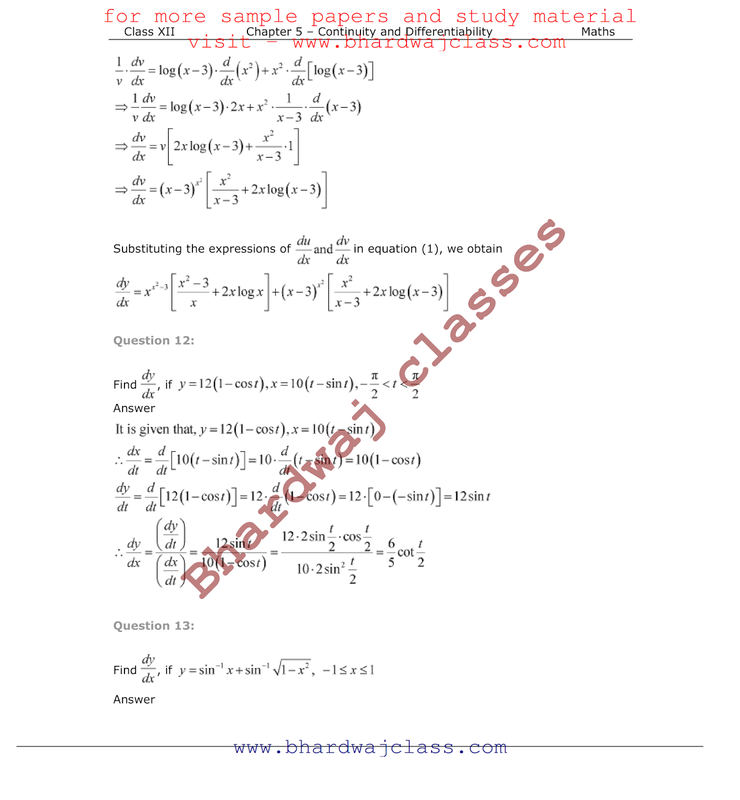 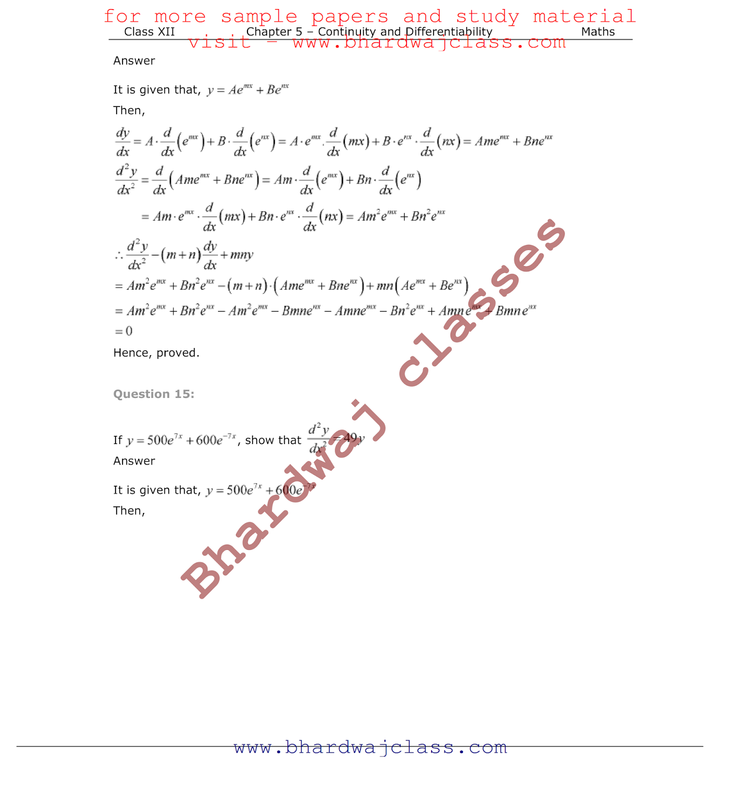 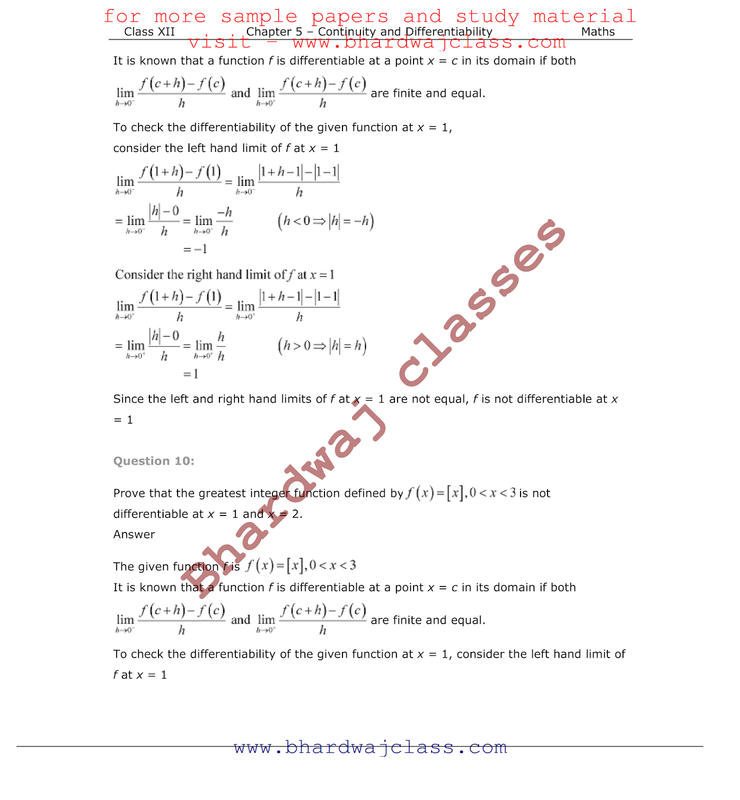 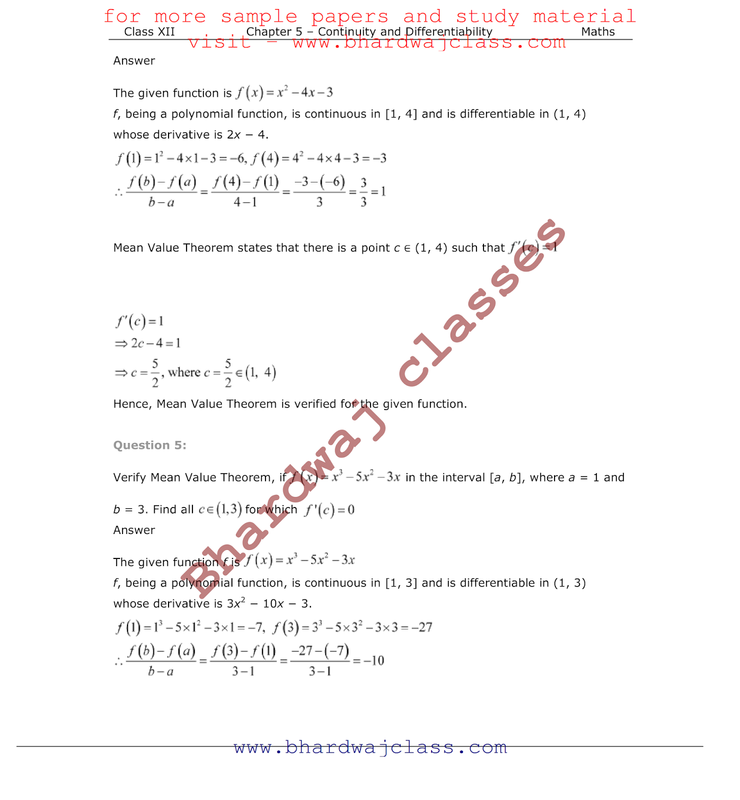 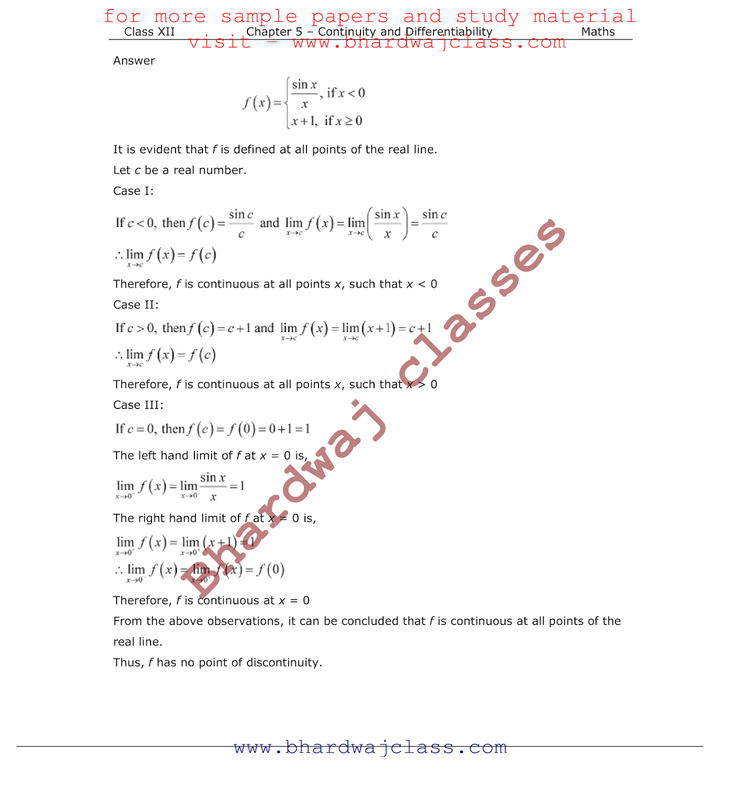 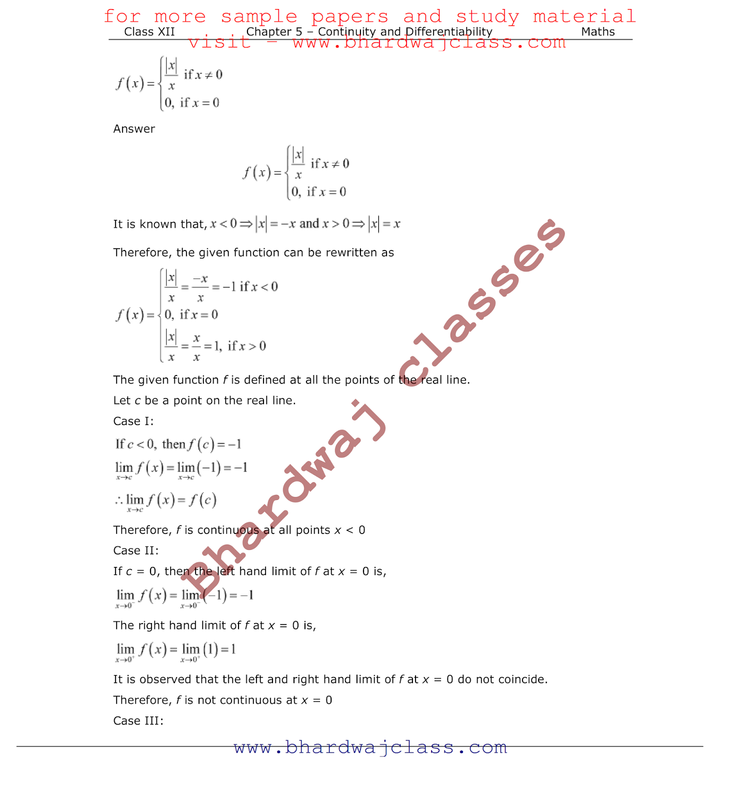 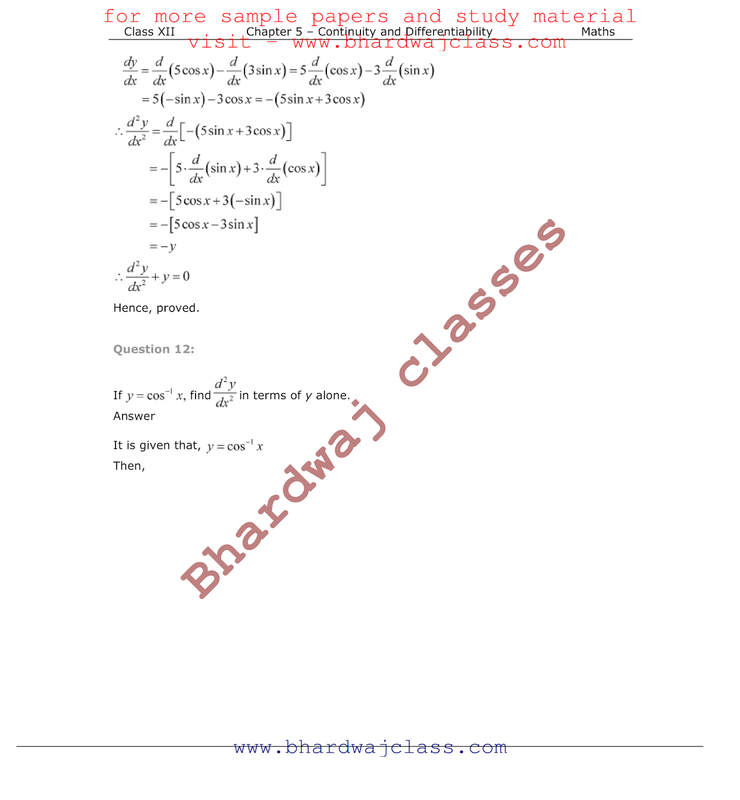 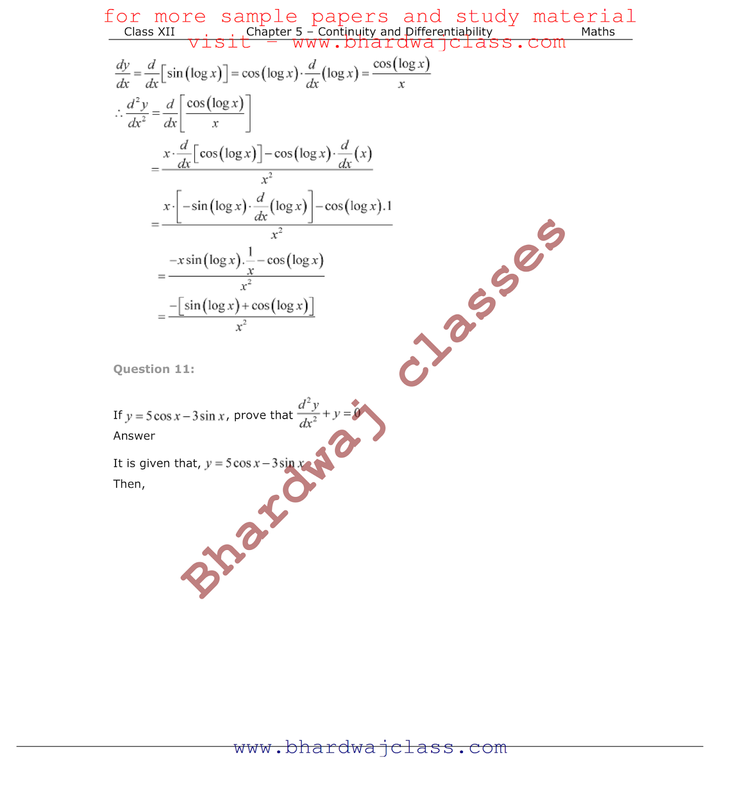 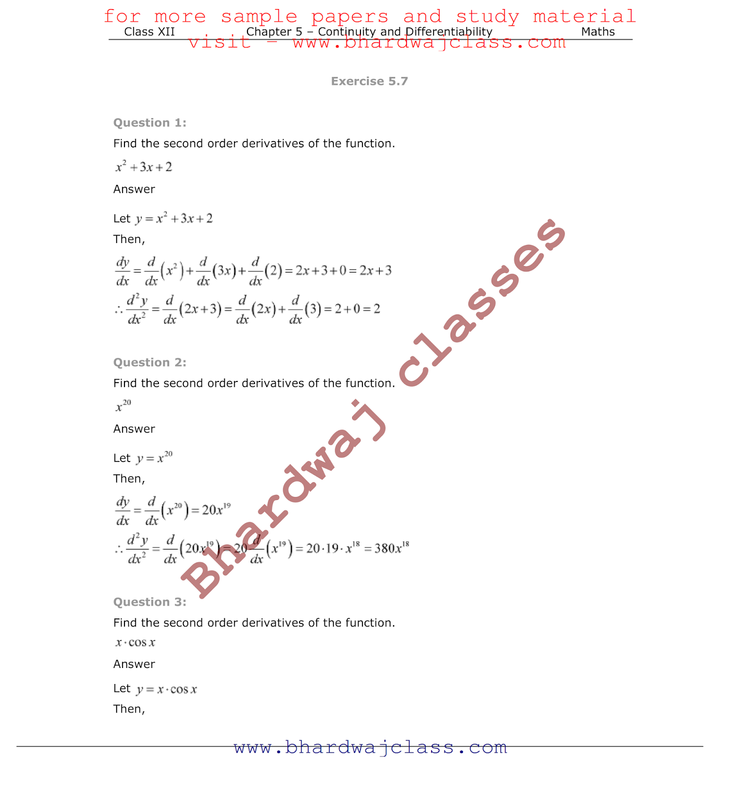 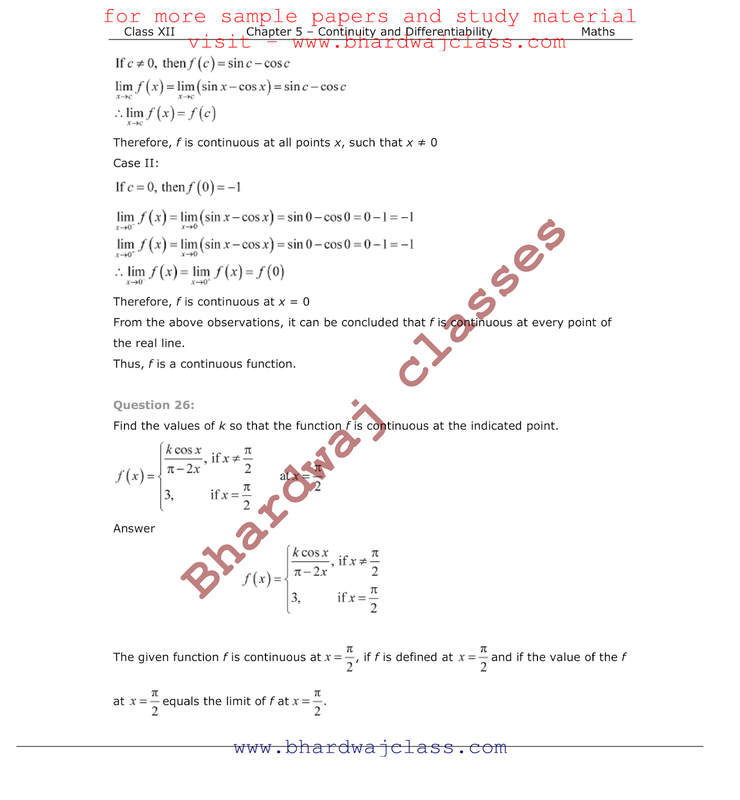 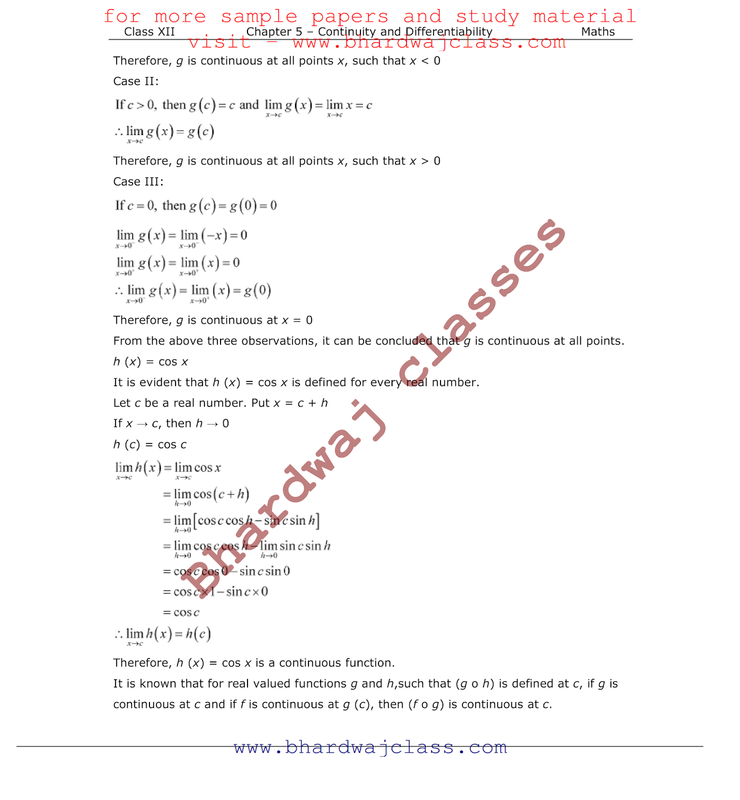 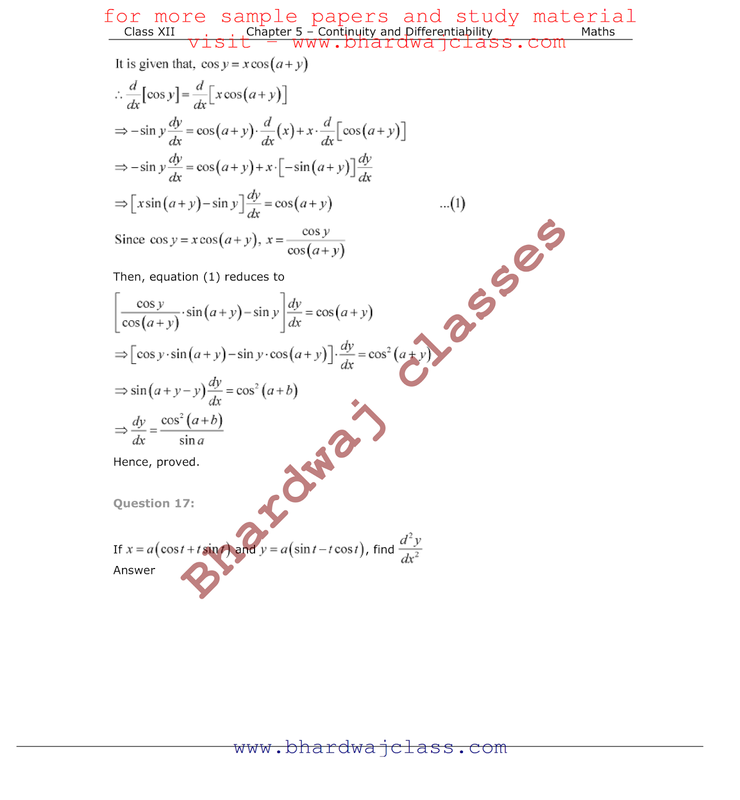 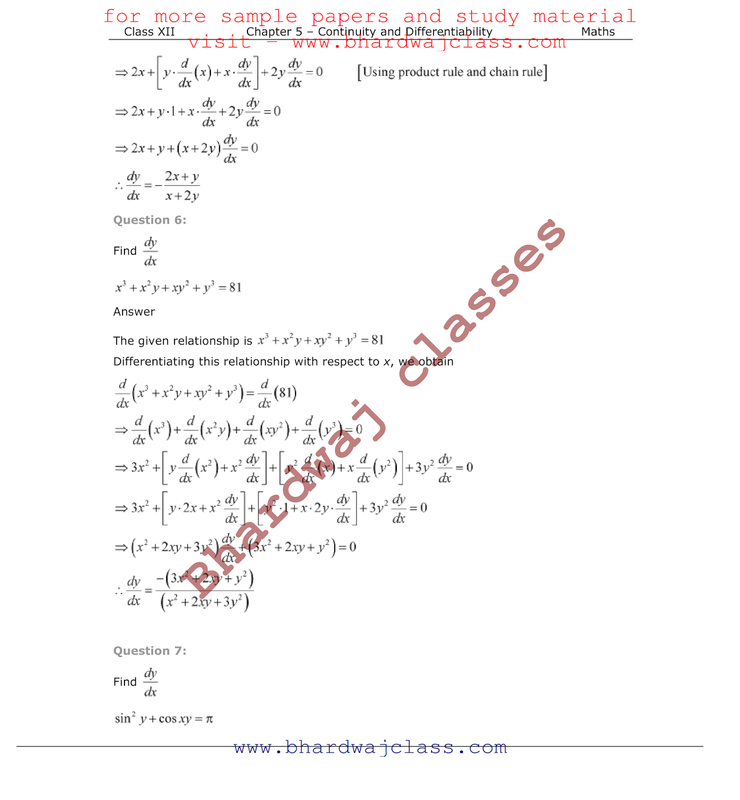 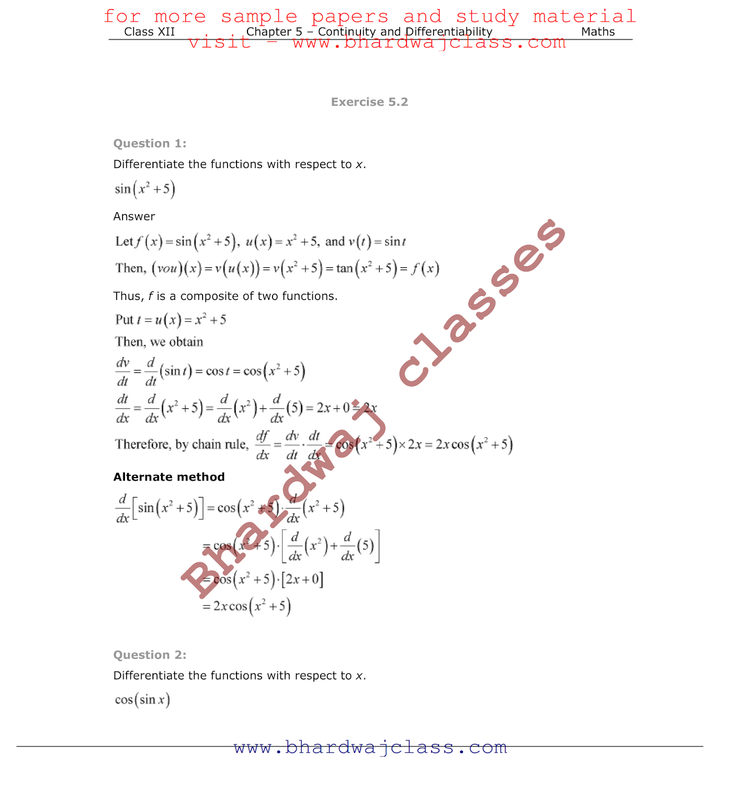 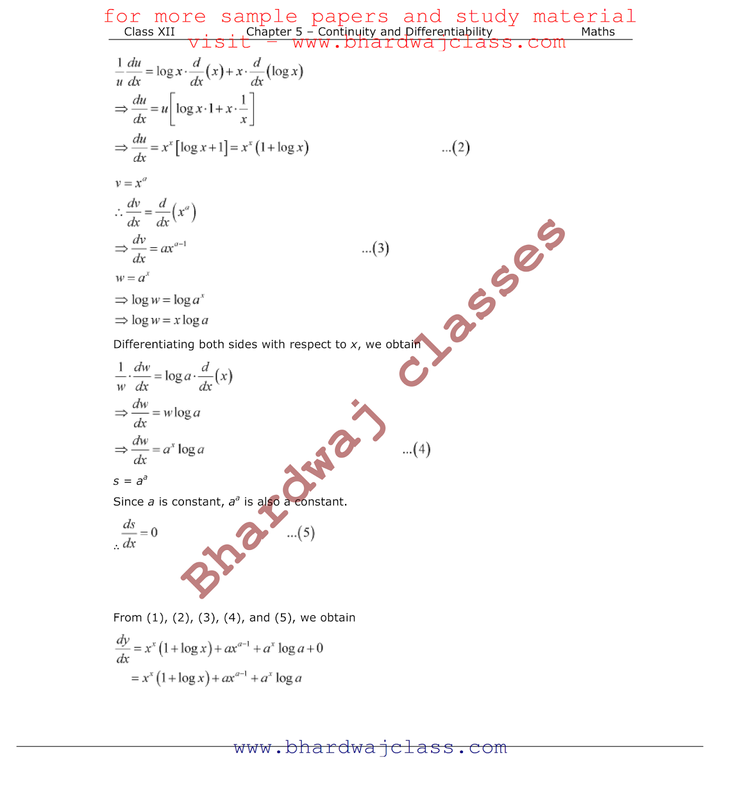 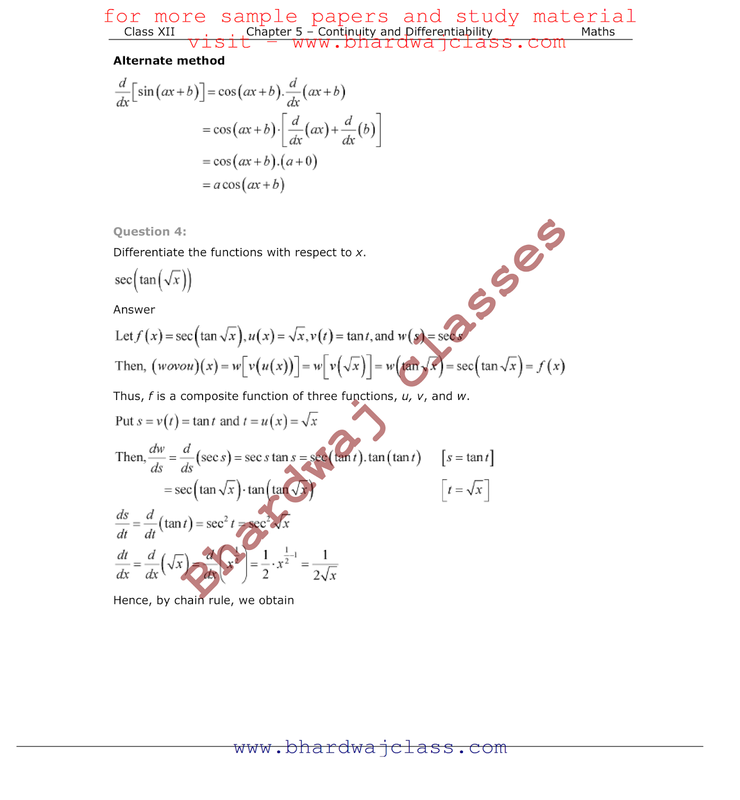 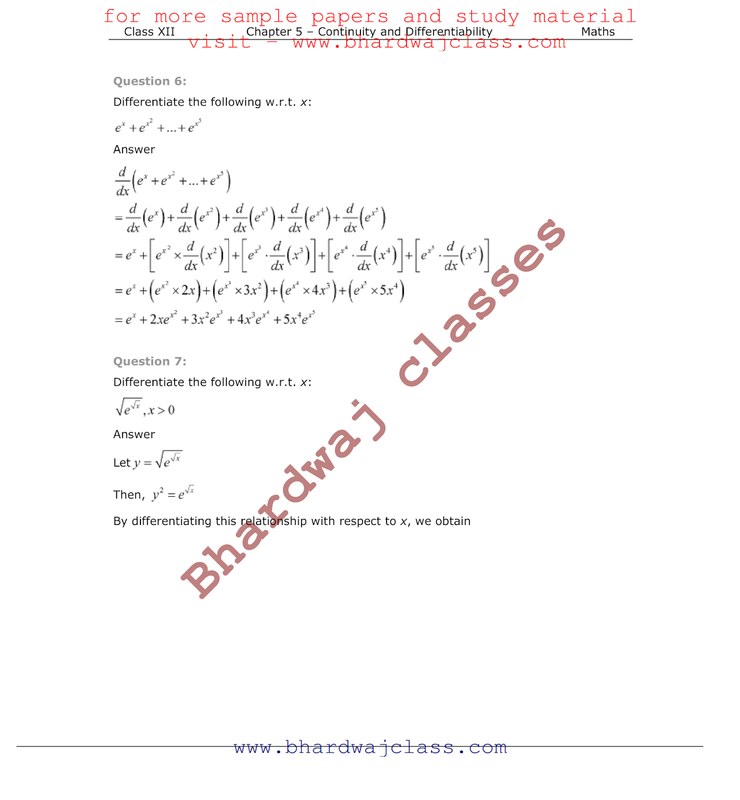 Here we are providing NCERT SOLUTIONS for Class 12 Maths Chapter 5 - Continuity and Differentiability and this solution is absolutely free to download in PDF. This solution is prepared by Experts strictly based on CBSE Guidelines and NCERT Text Book . 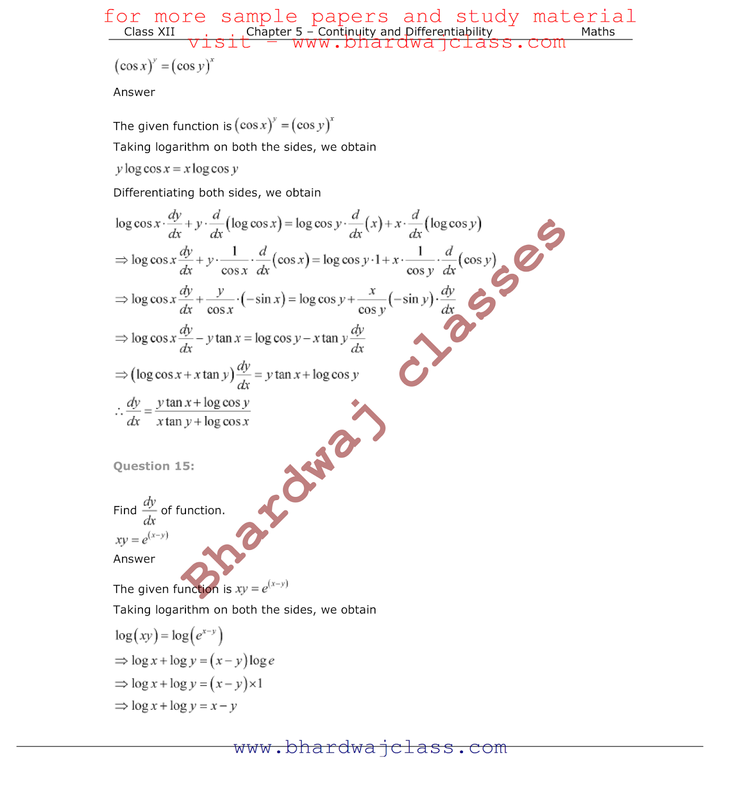 In this solution we cover step by step solution of all questions of all exercises given in NCERT Text Book.